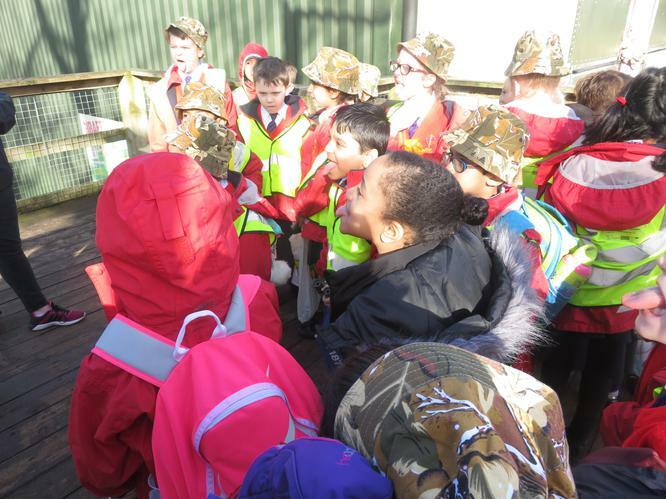 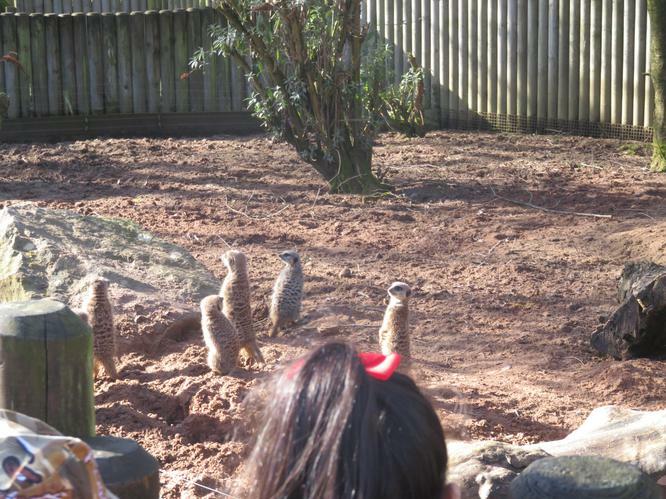 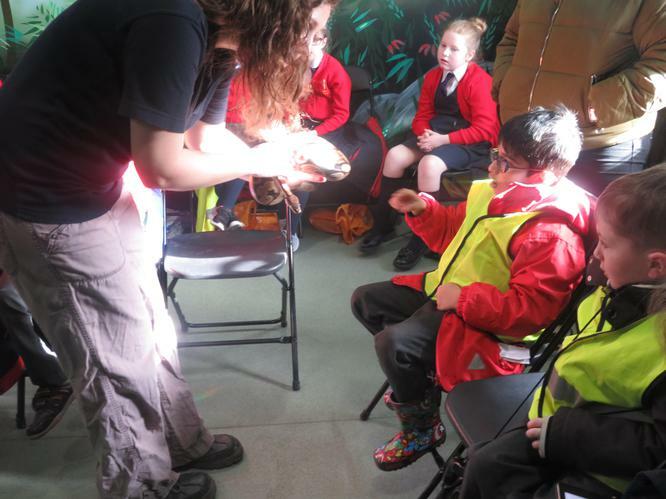 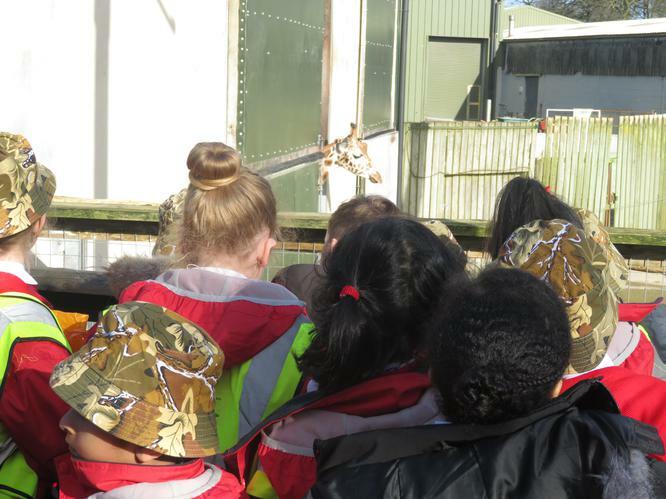 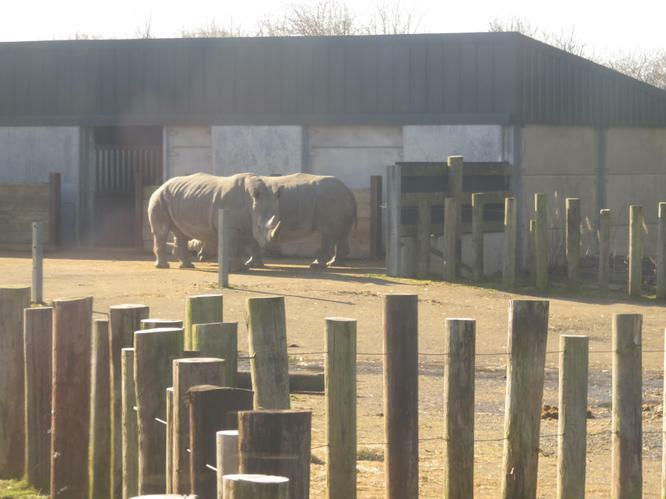 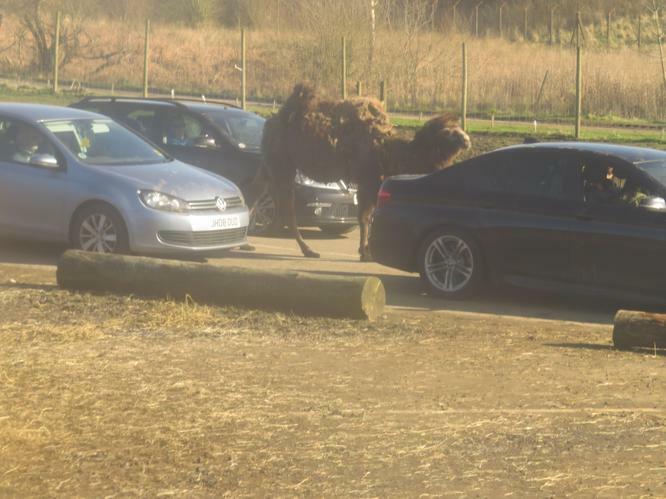 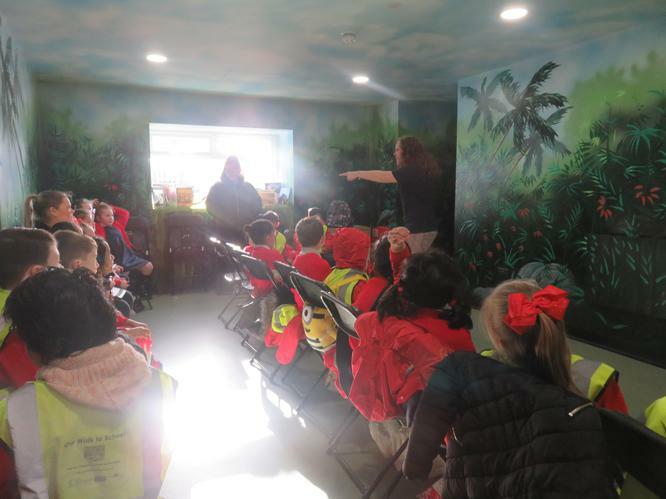 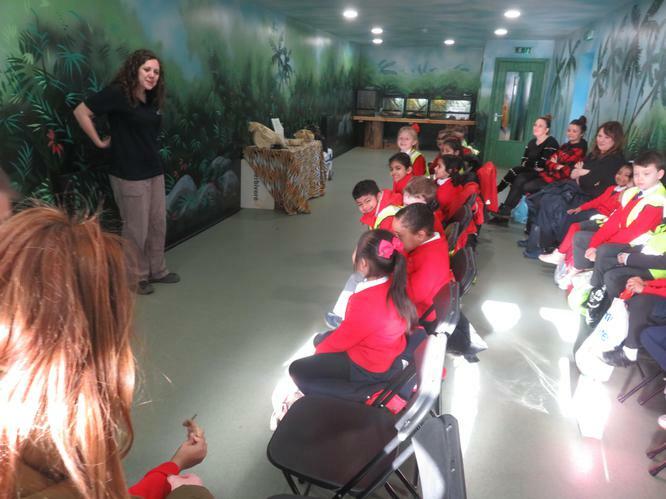 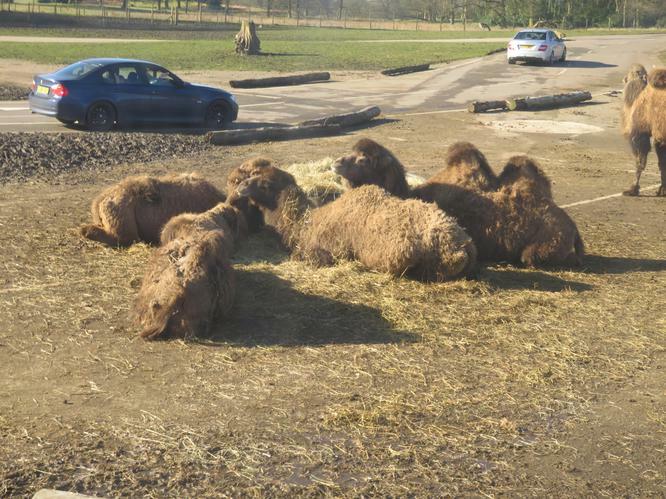 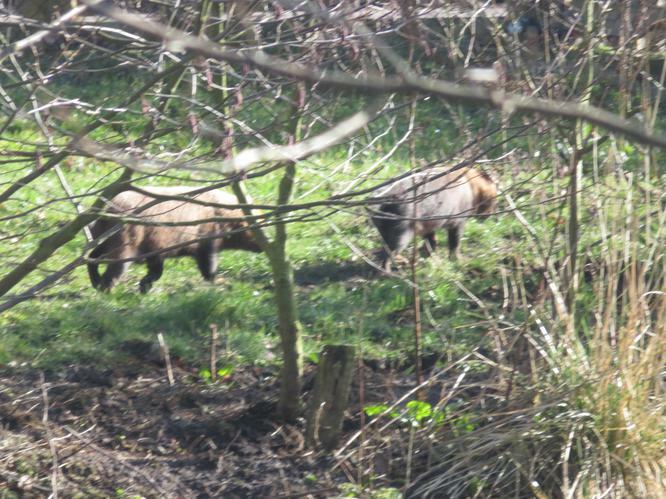 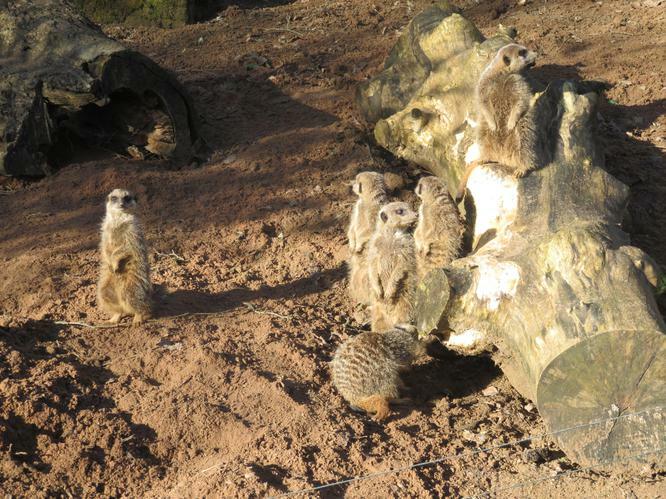 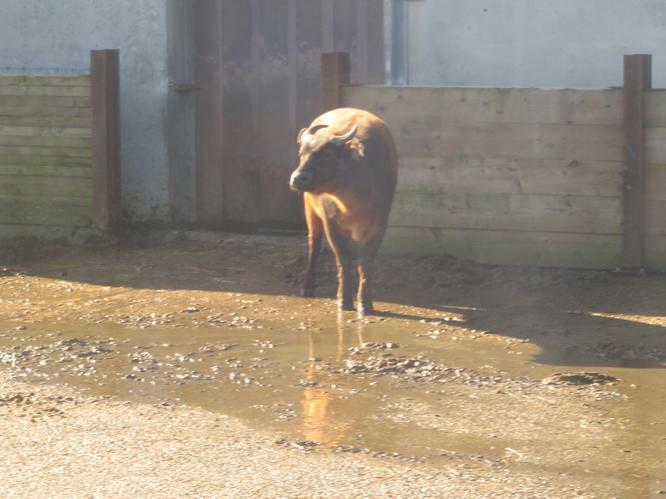 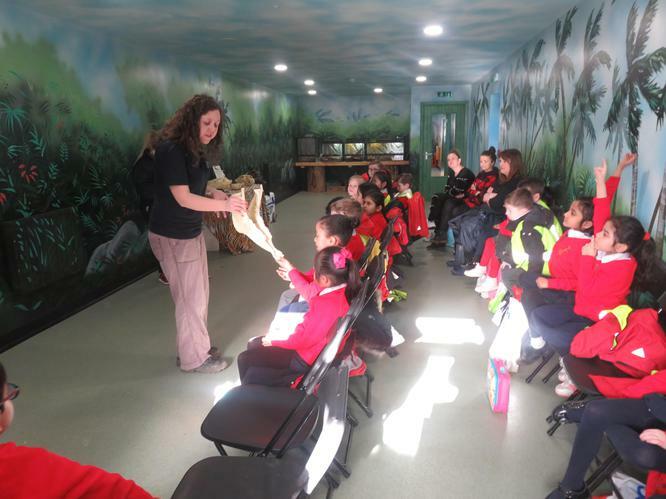 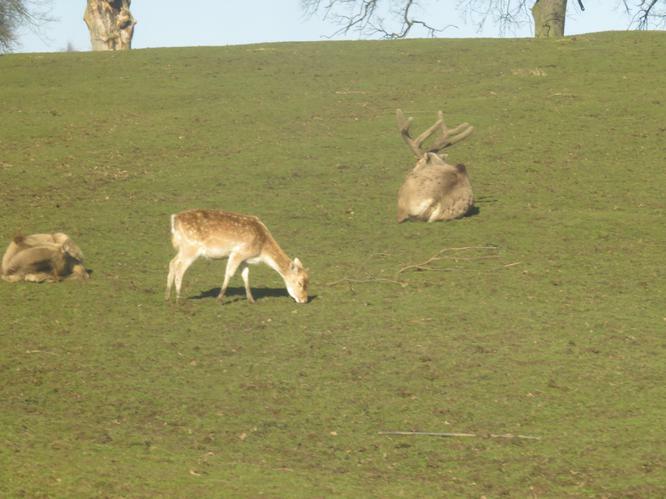 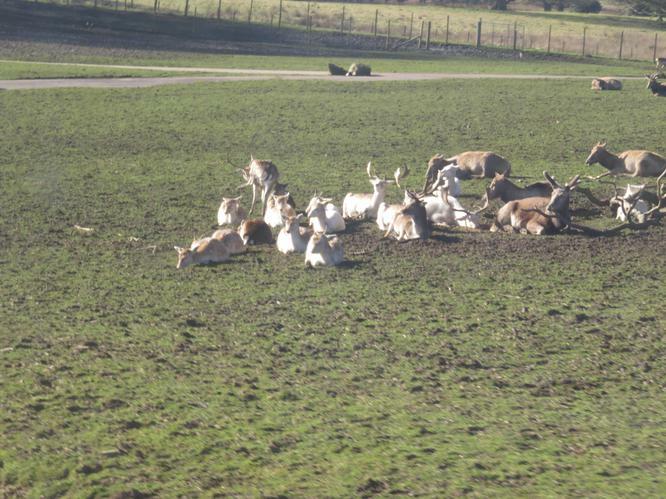 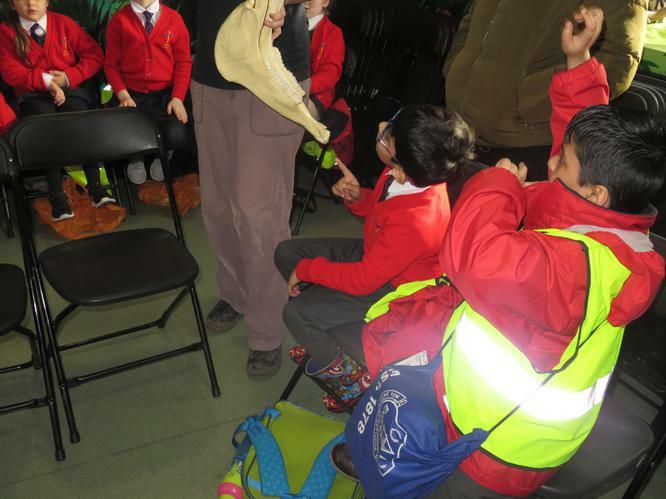 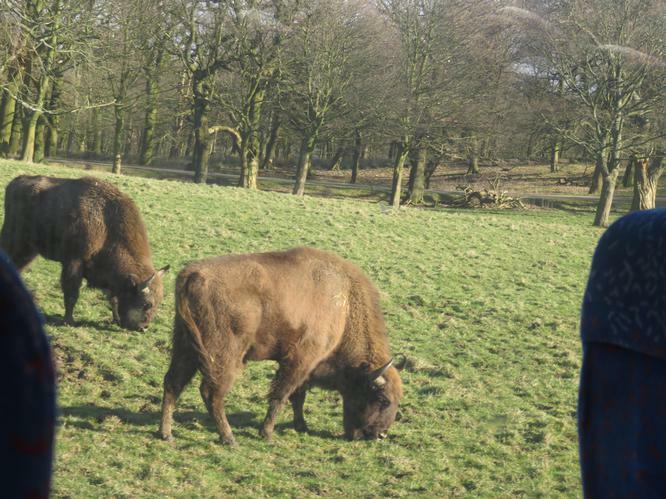 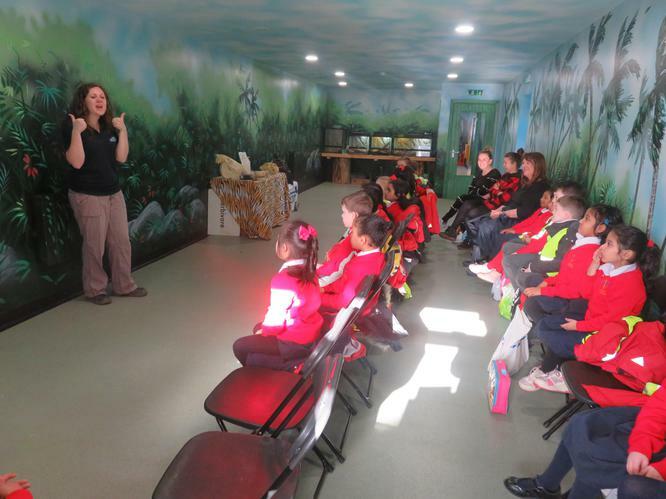 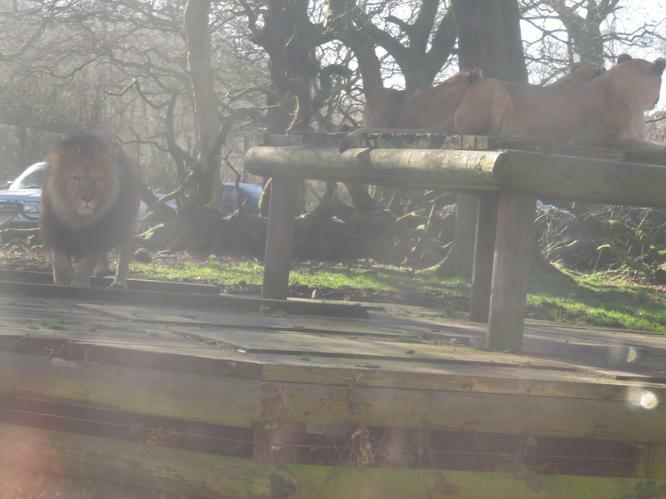 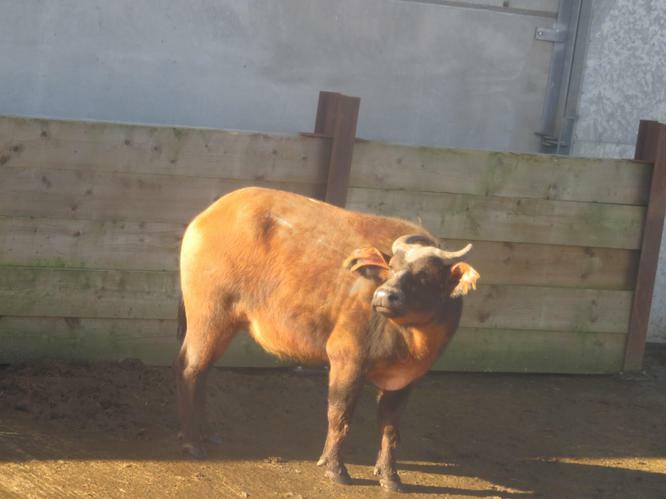 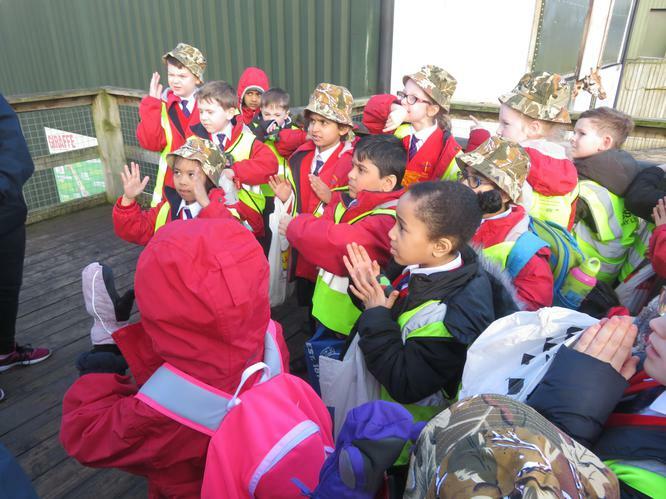 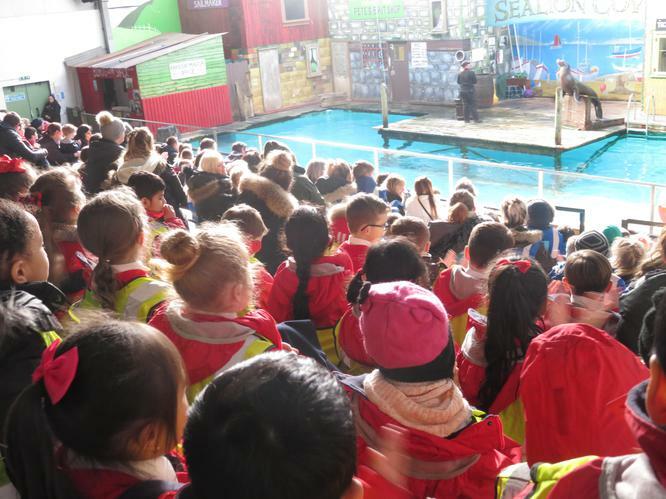 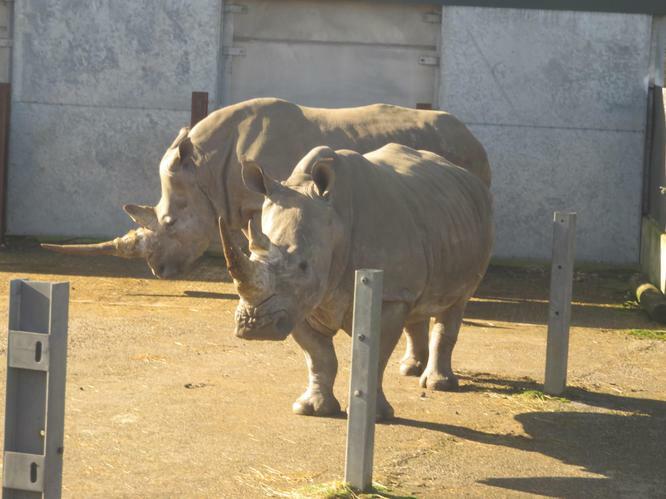 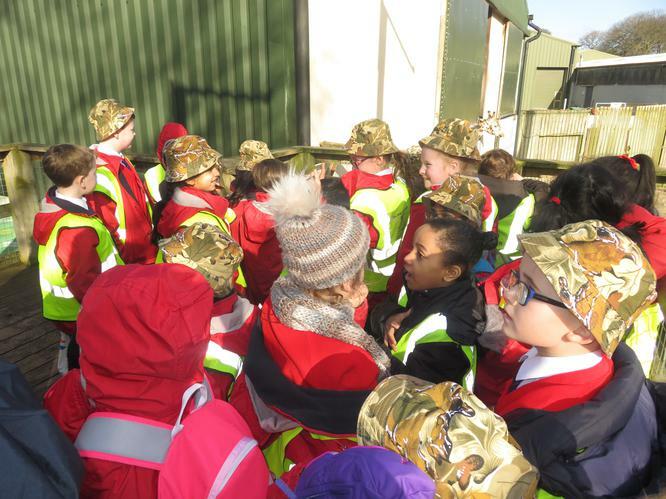 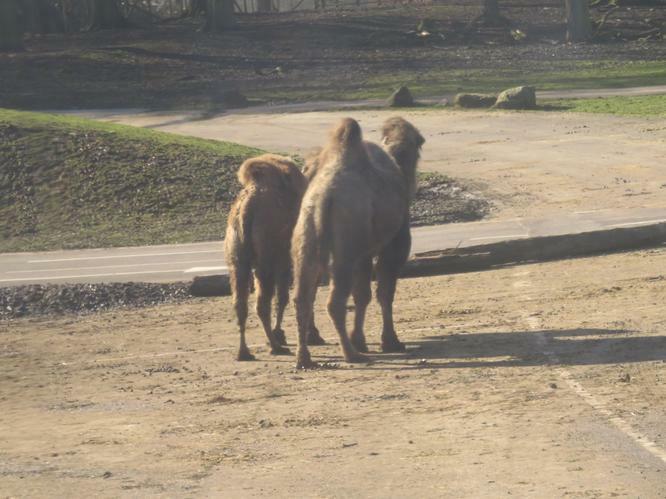 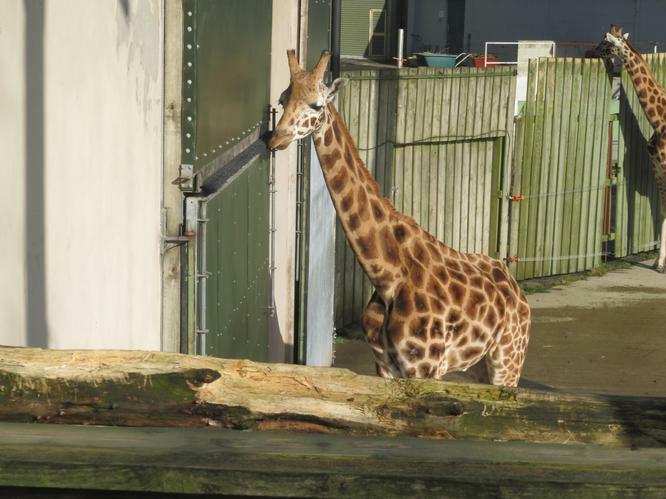 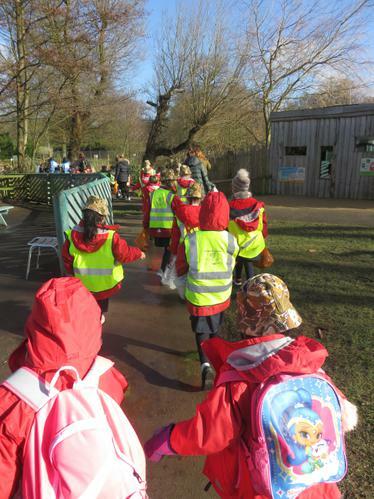 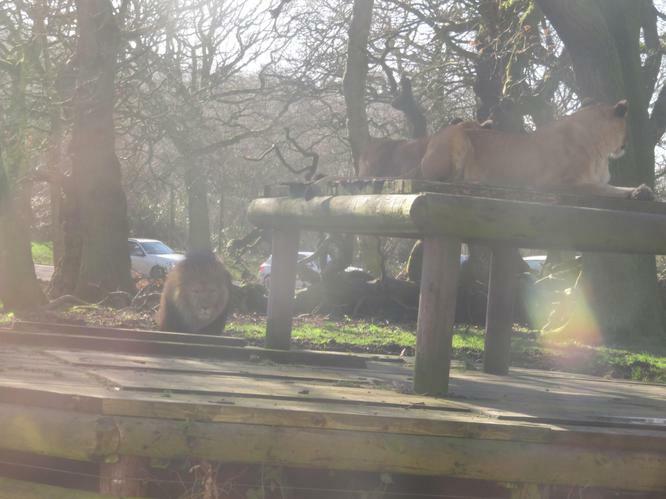 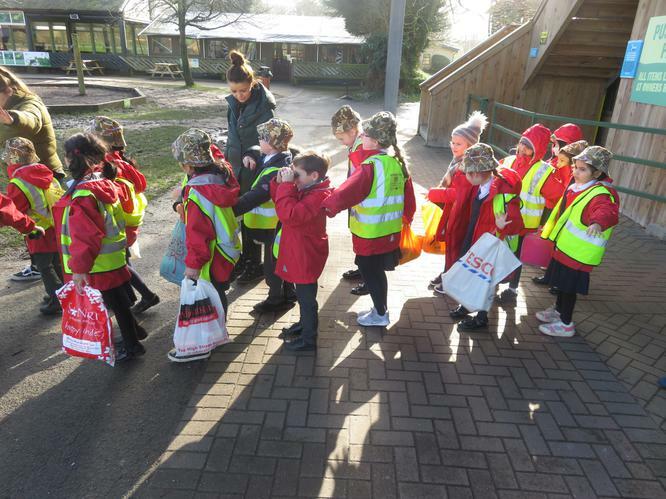 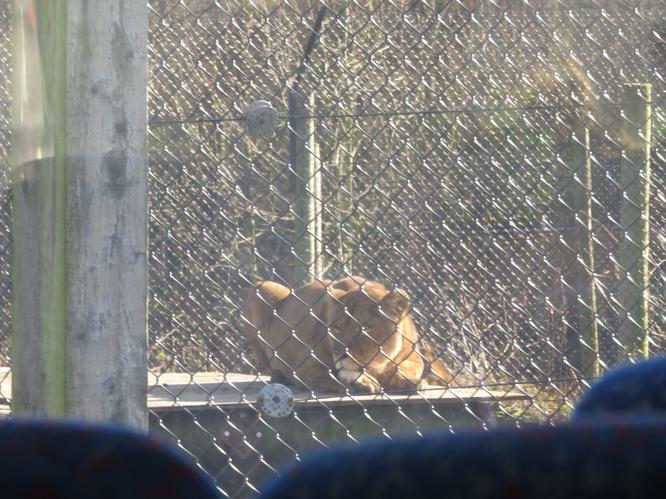 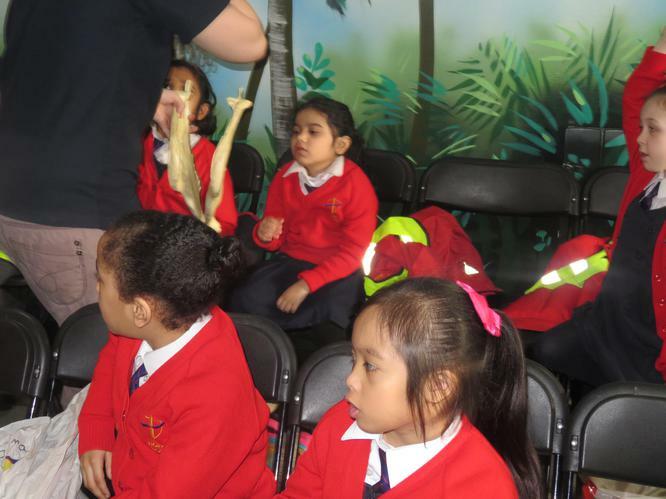 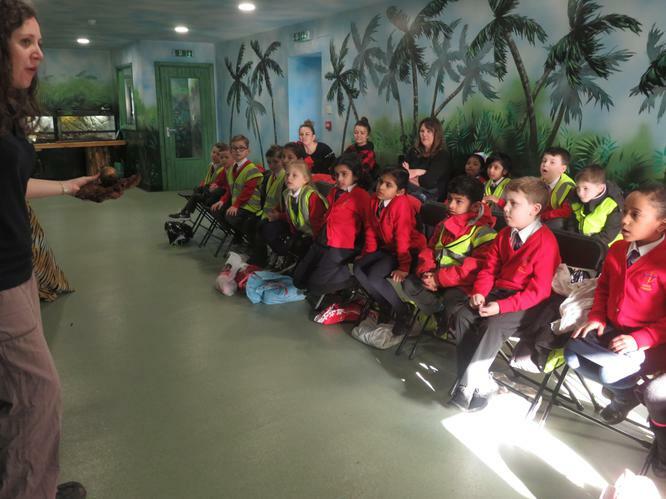 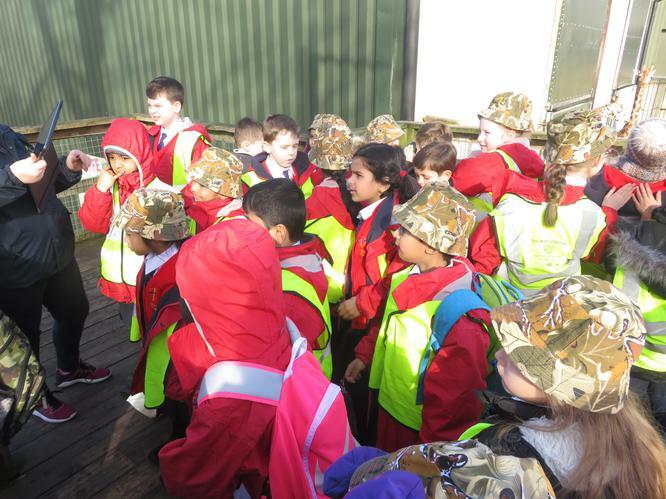 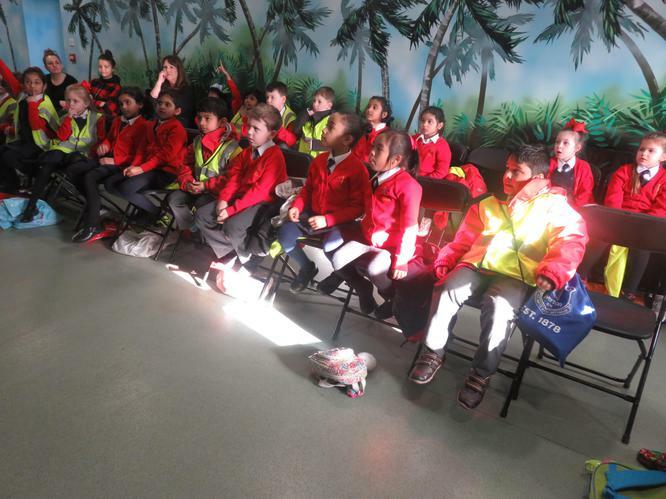 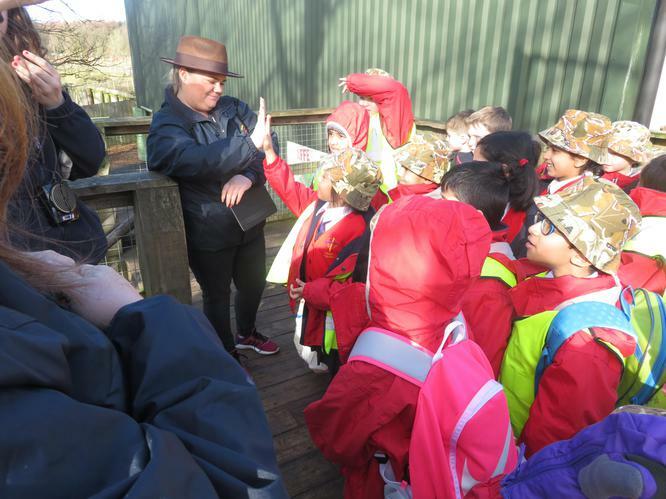 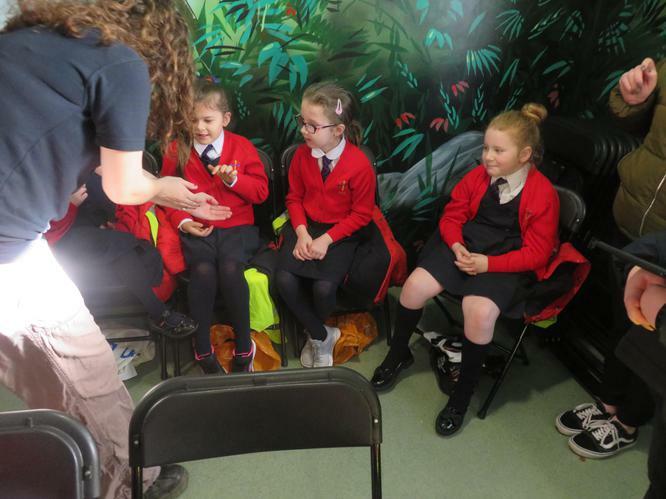 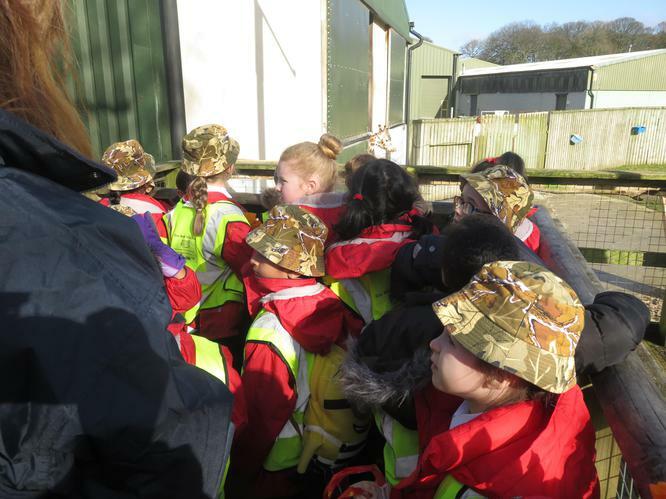 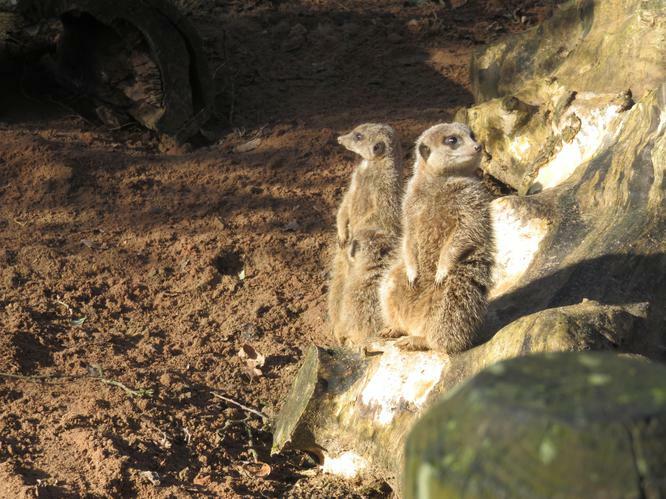 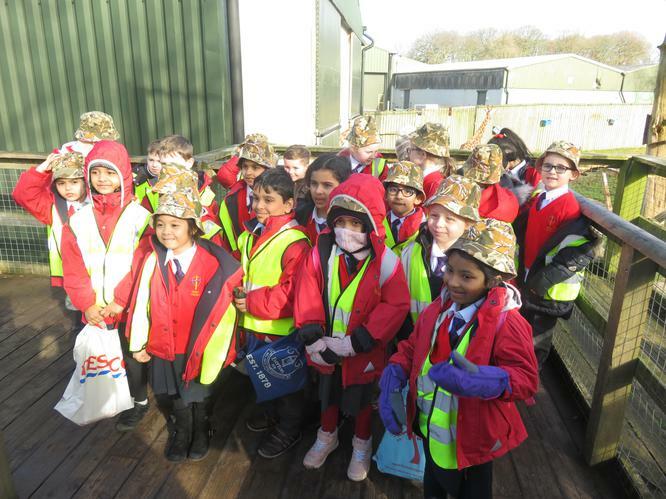 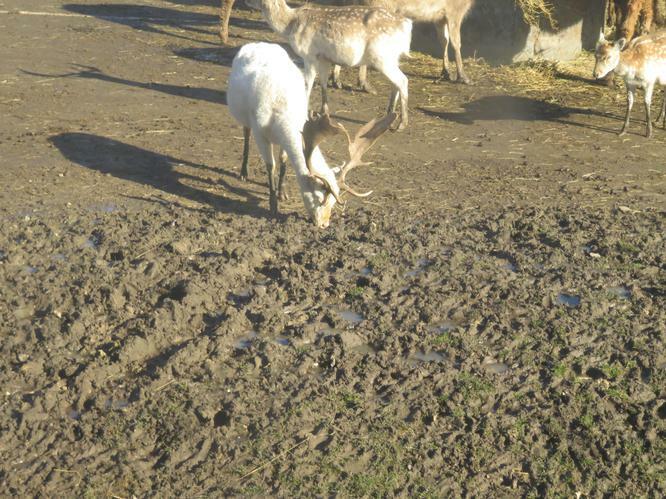 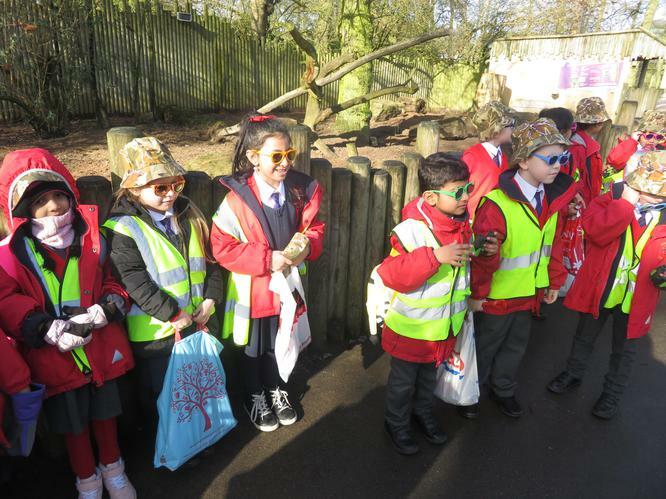 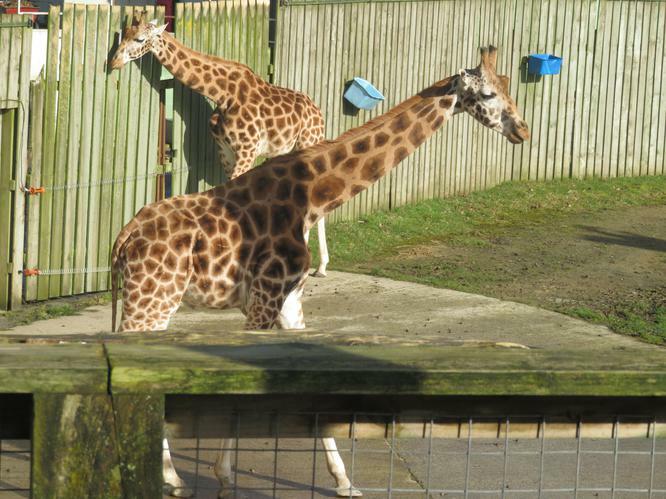 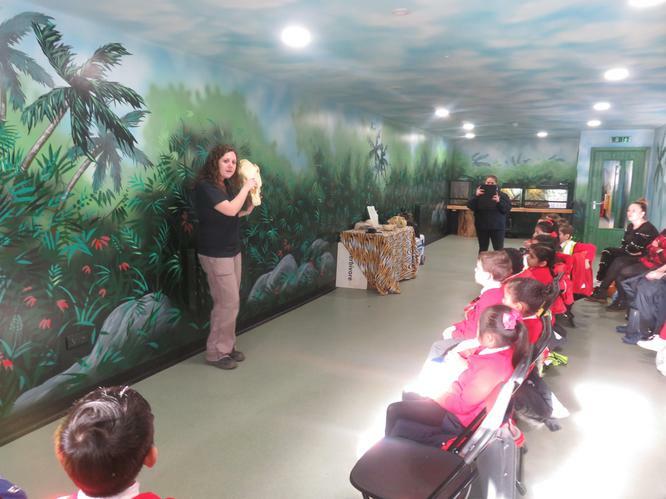 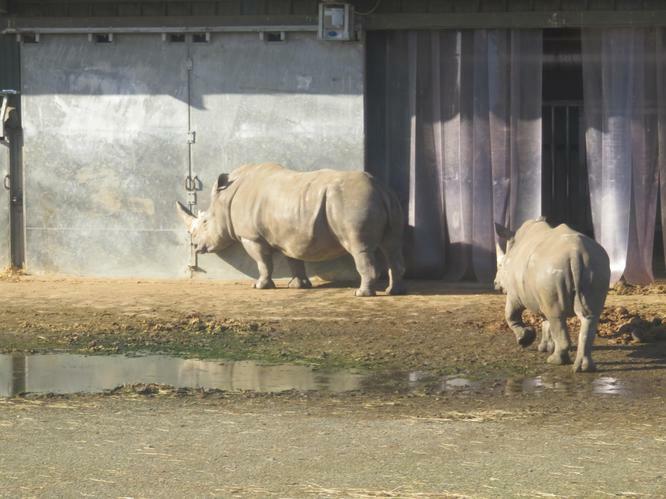 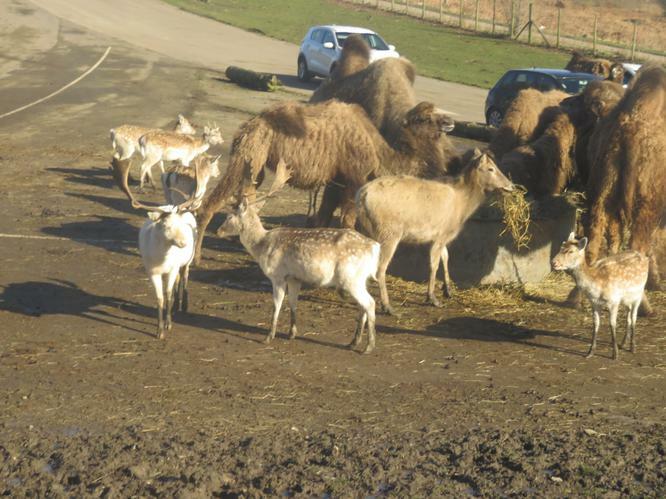 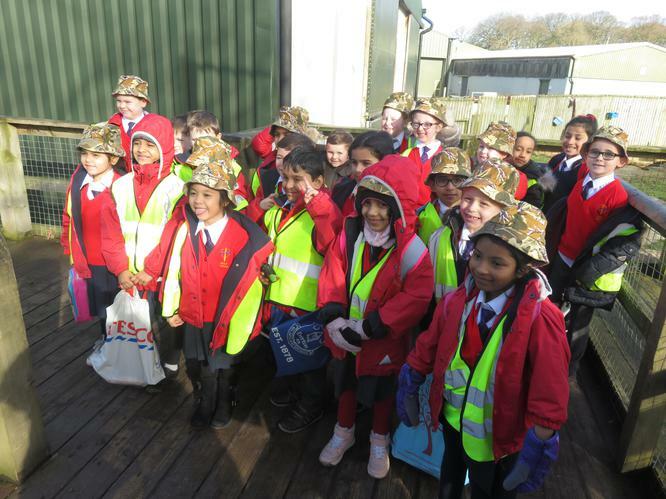 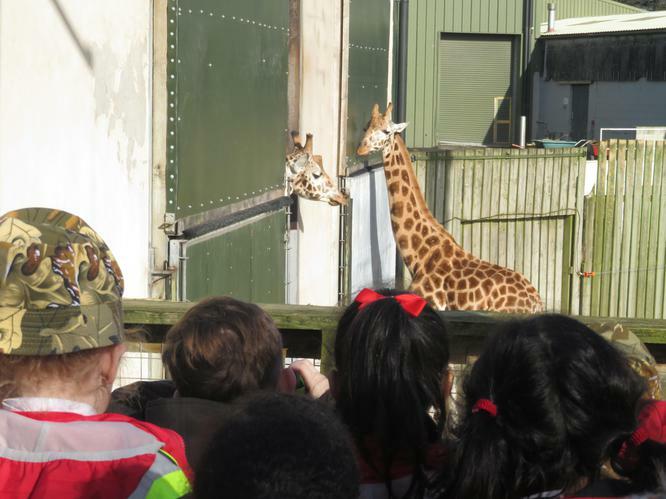 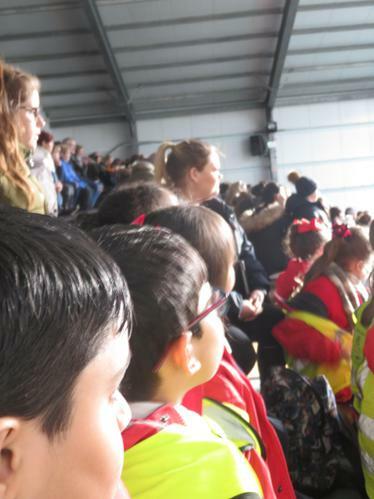 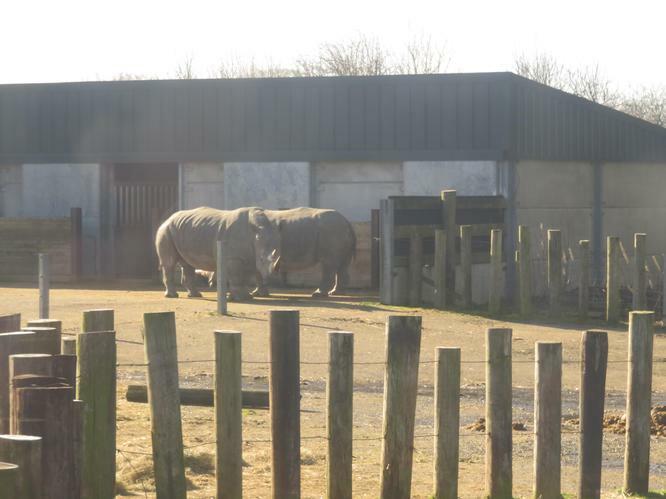 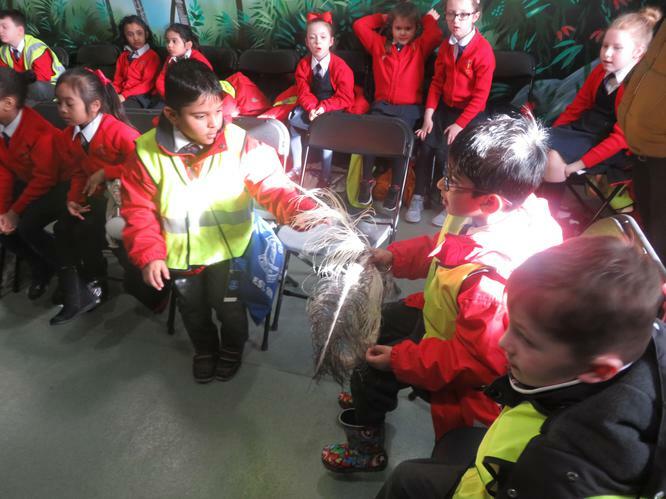 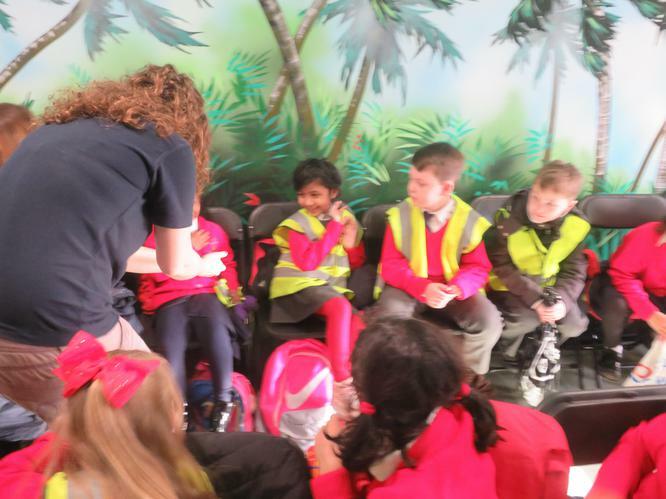 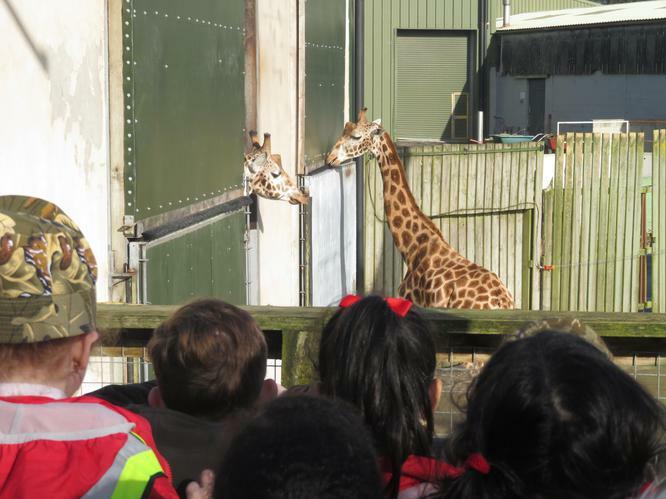 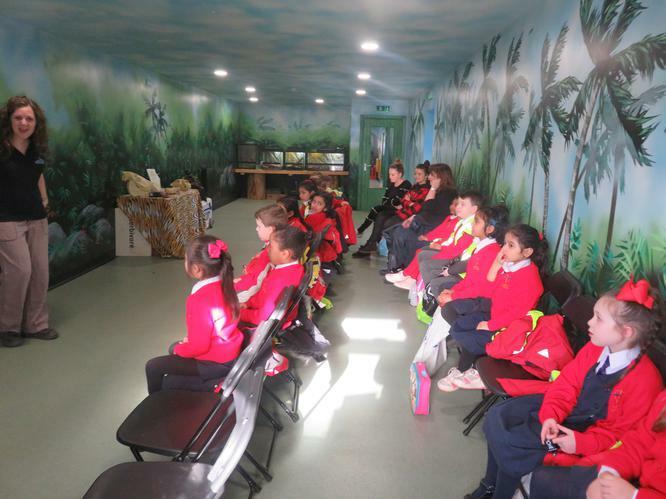 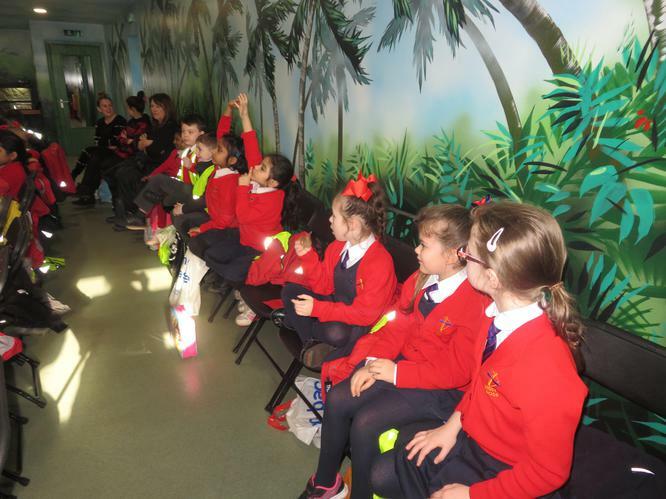 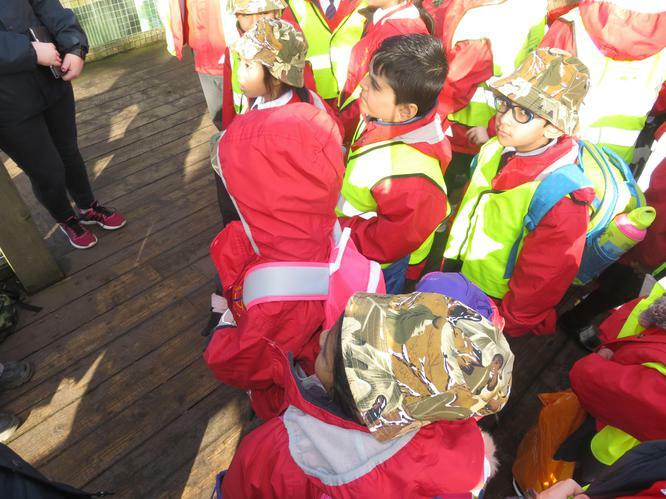 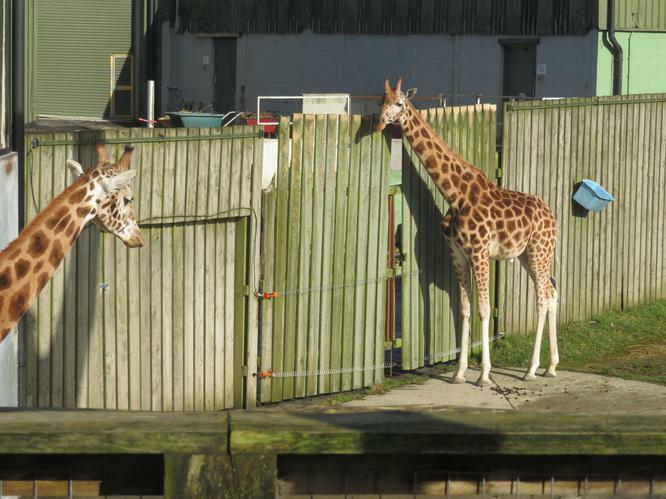 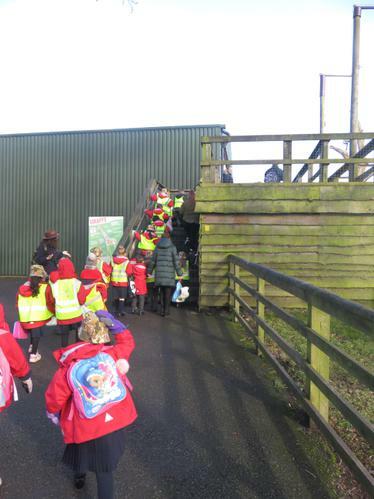 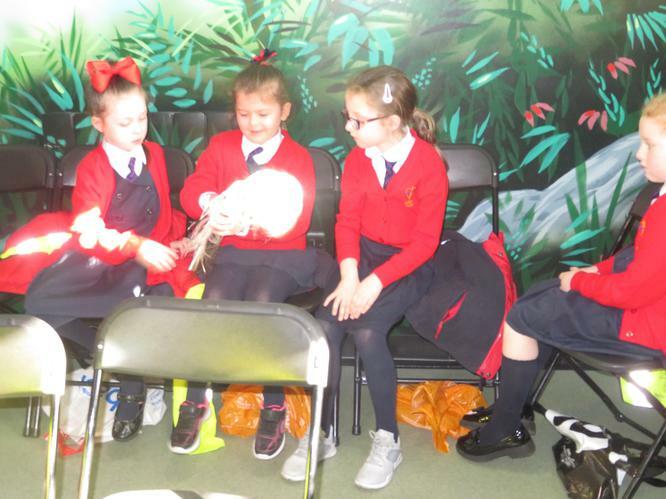 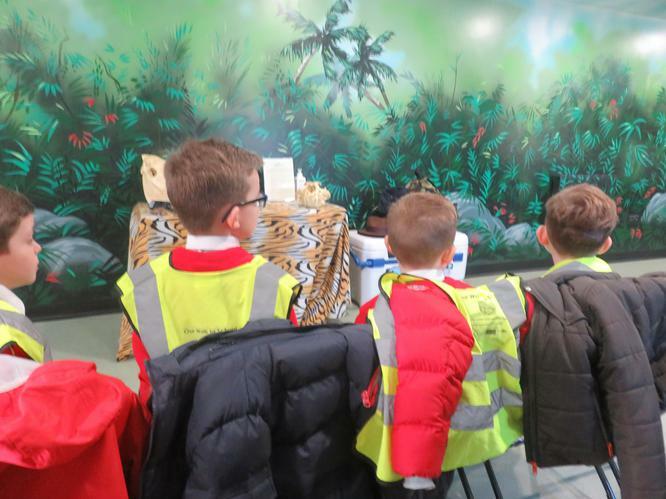 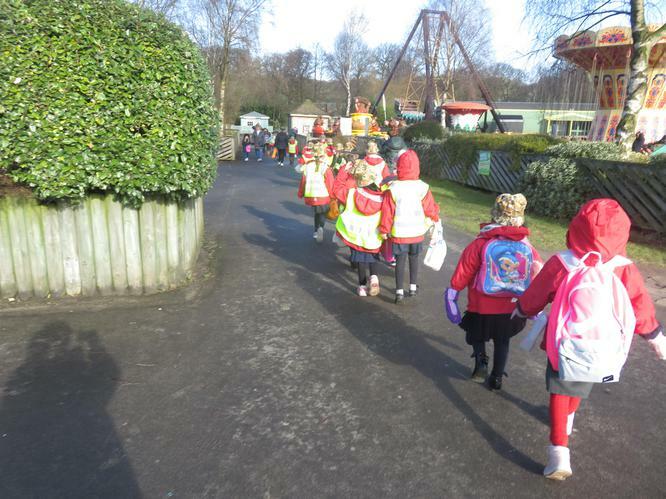 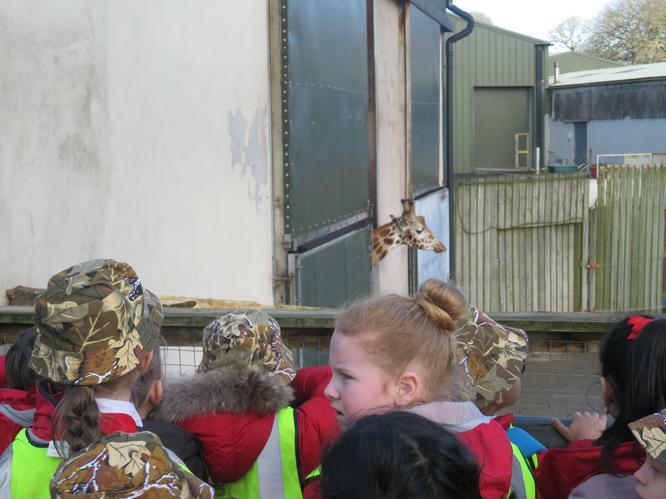 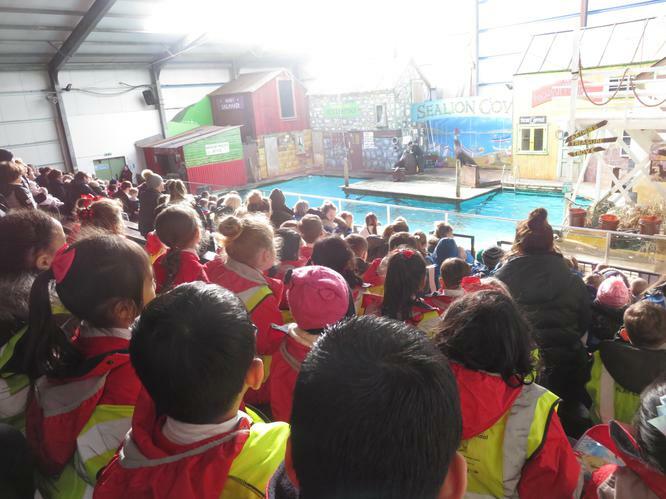 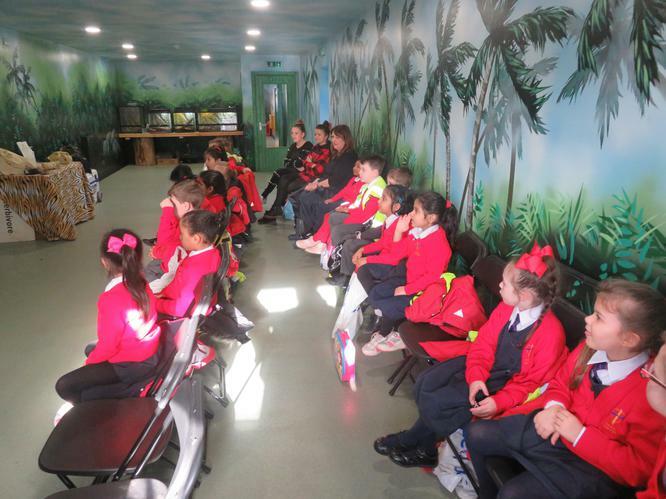 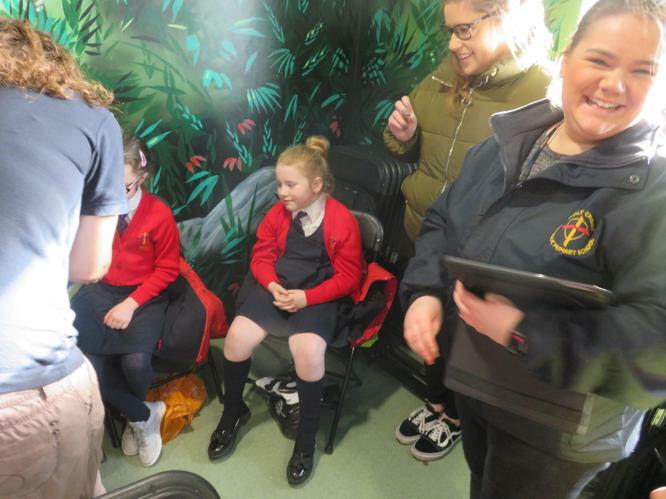 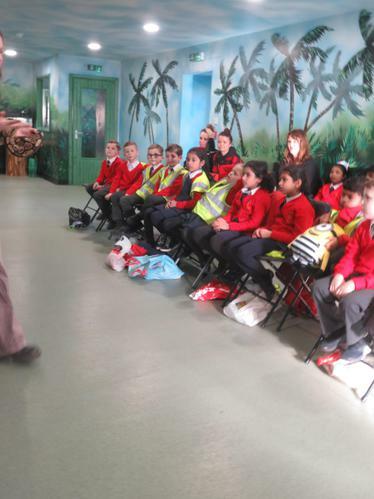 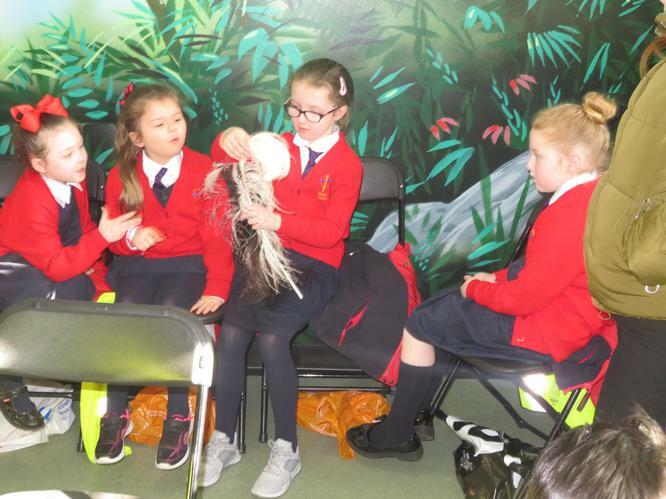 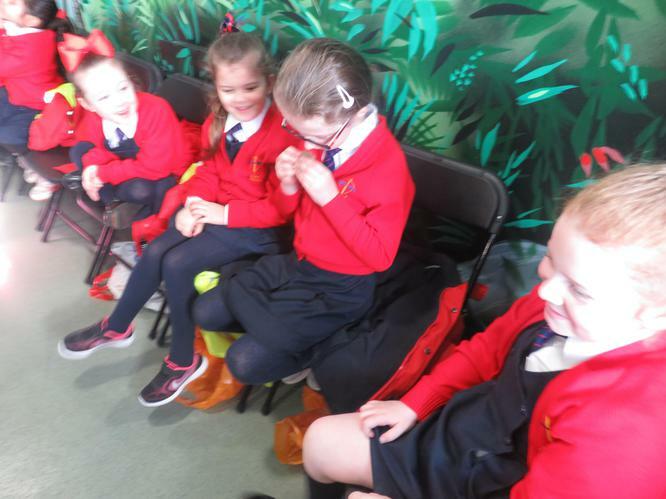 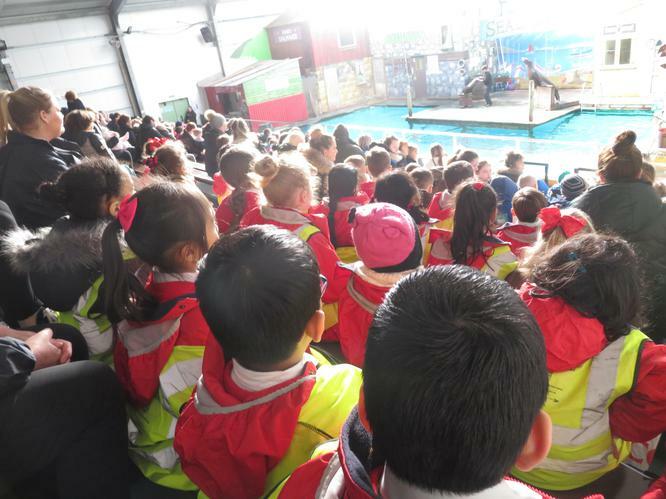 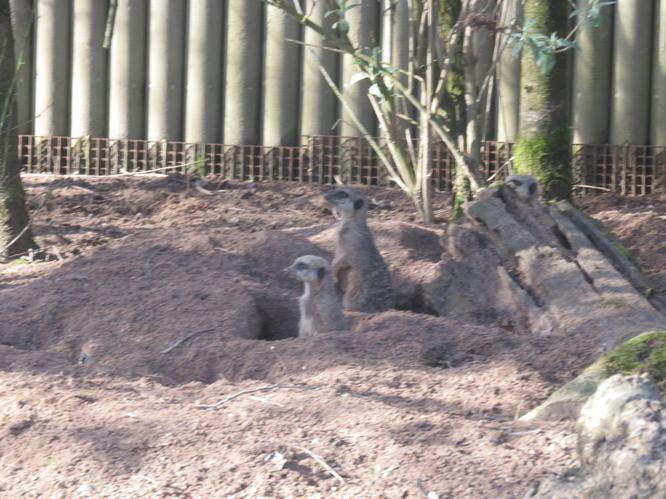 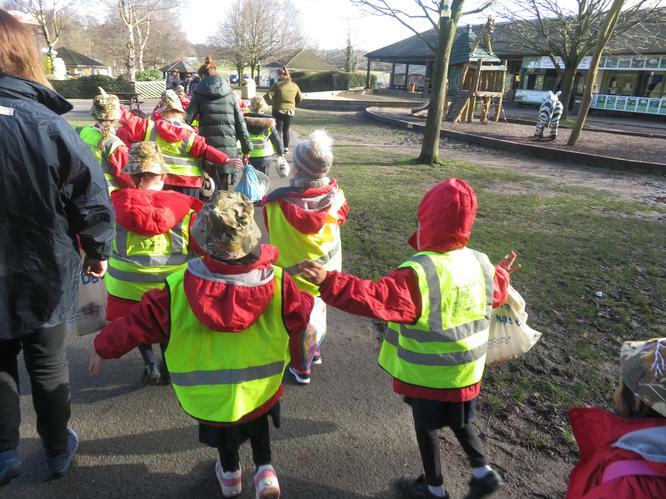 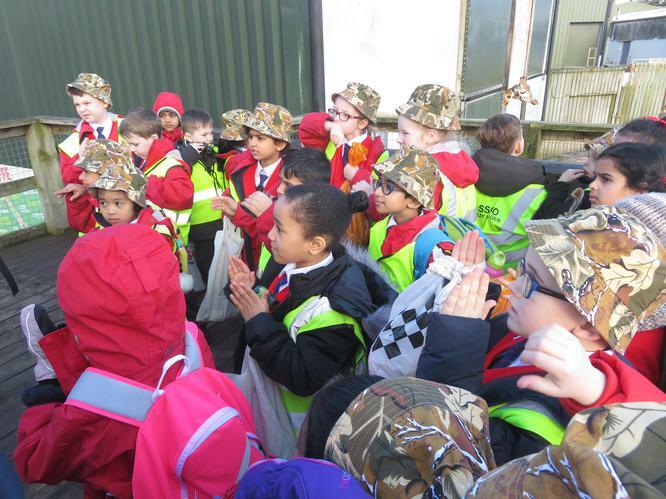 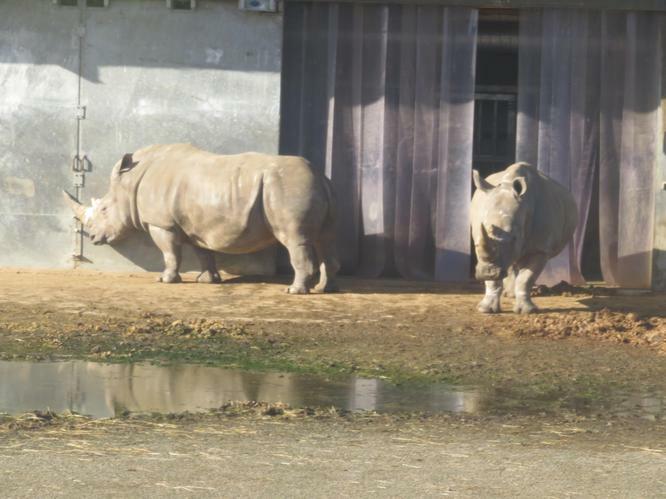 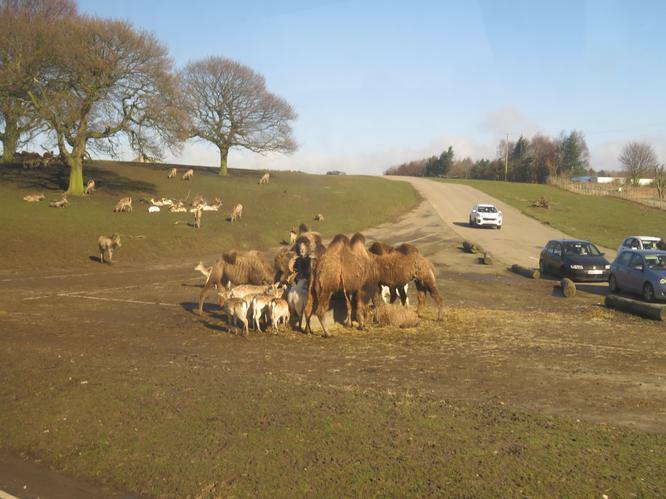 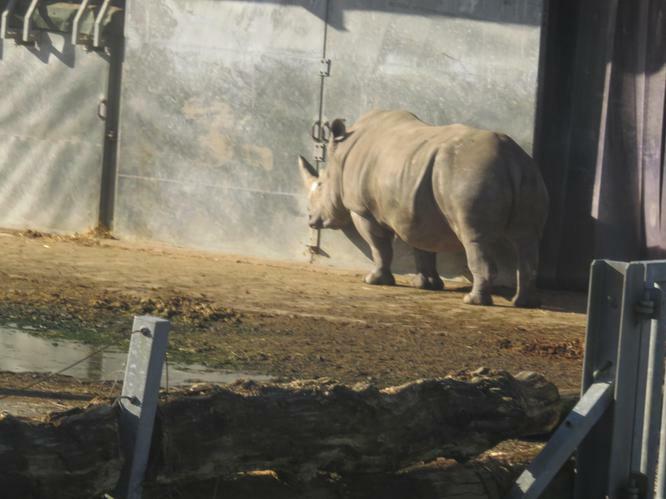 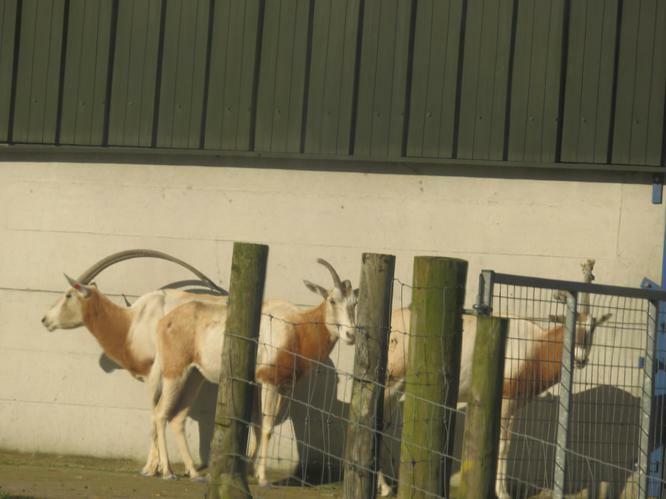 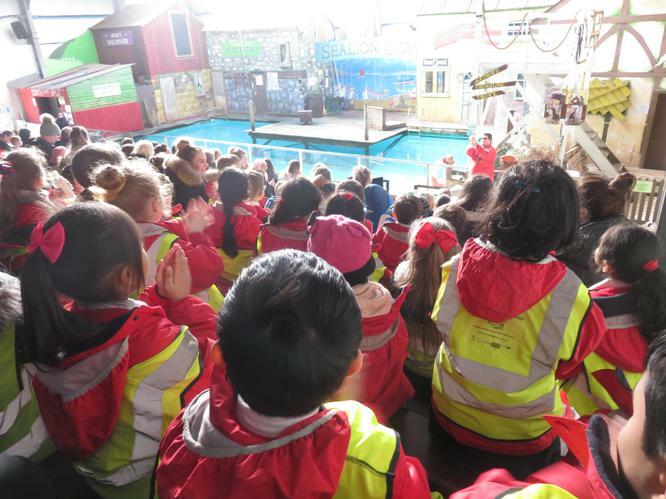 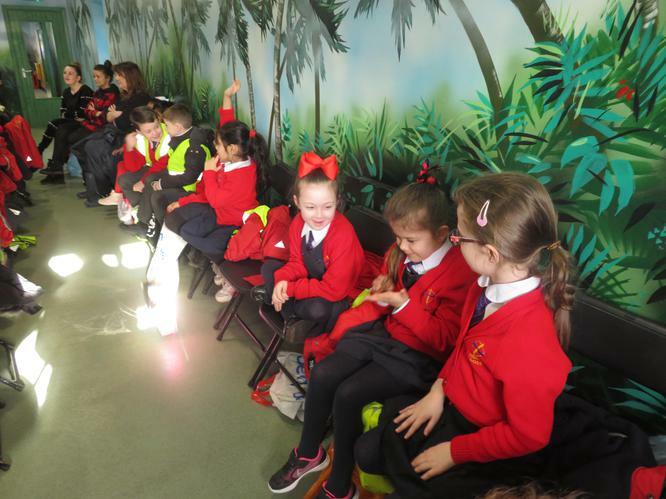 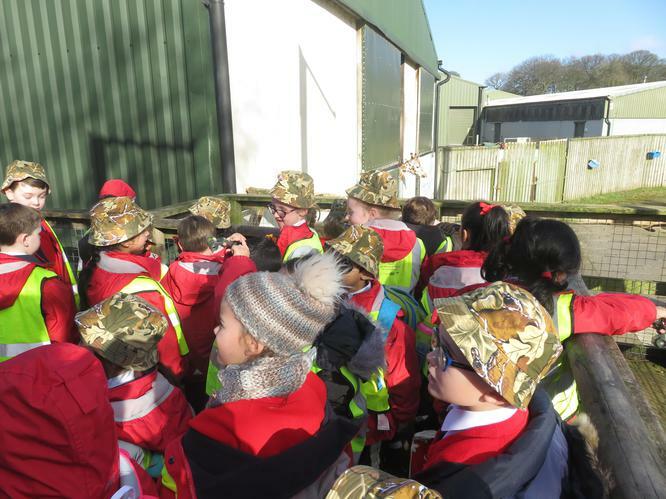 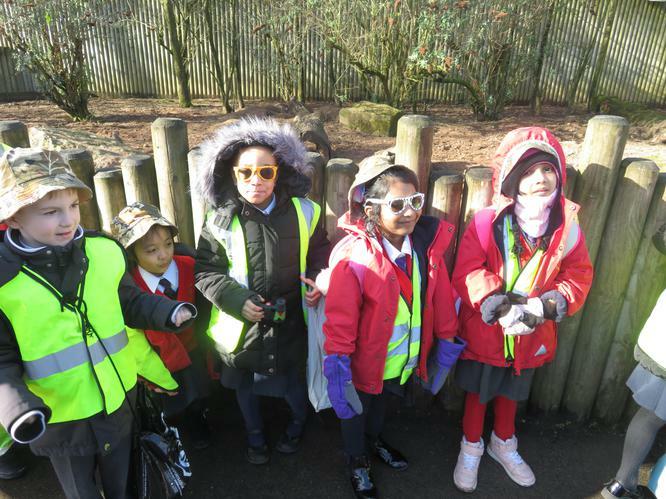 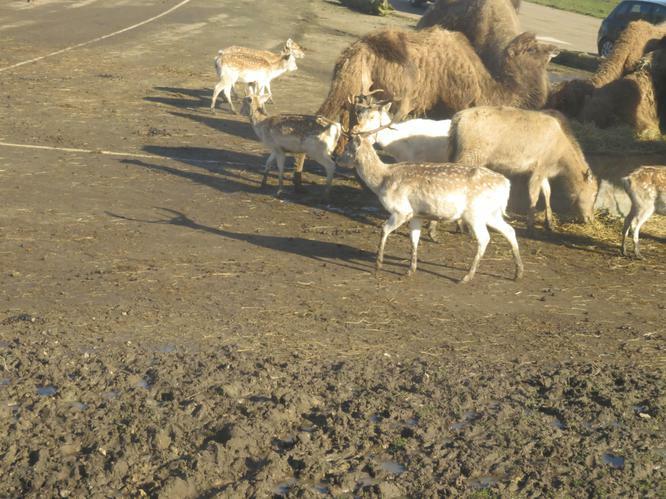 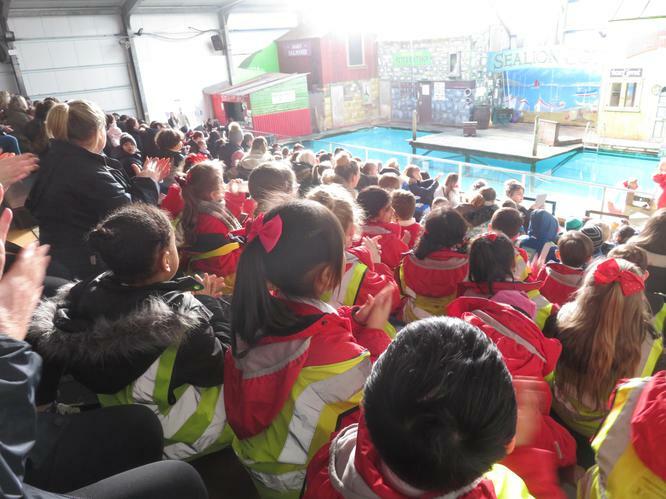 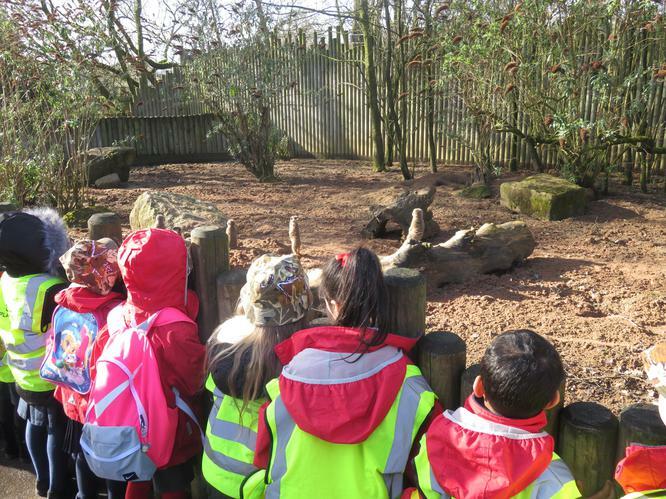 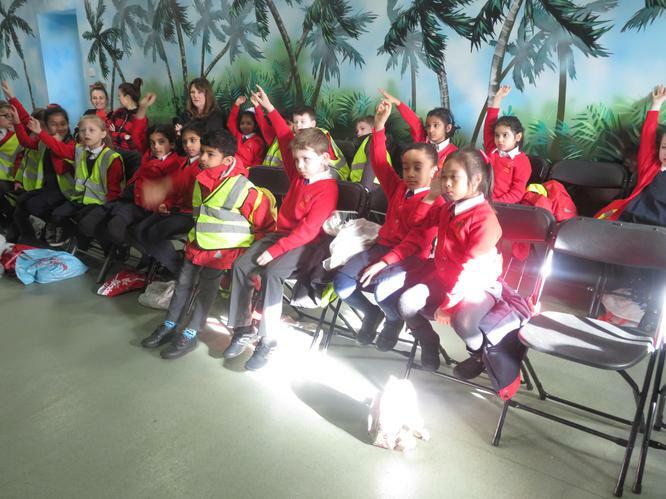 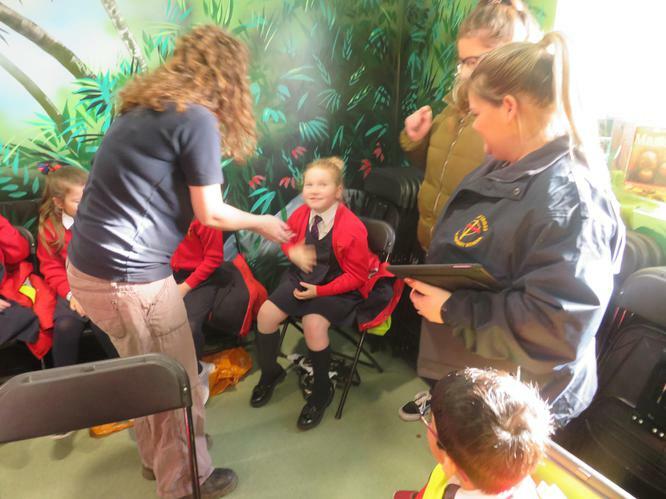 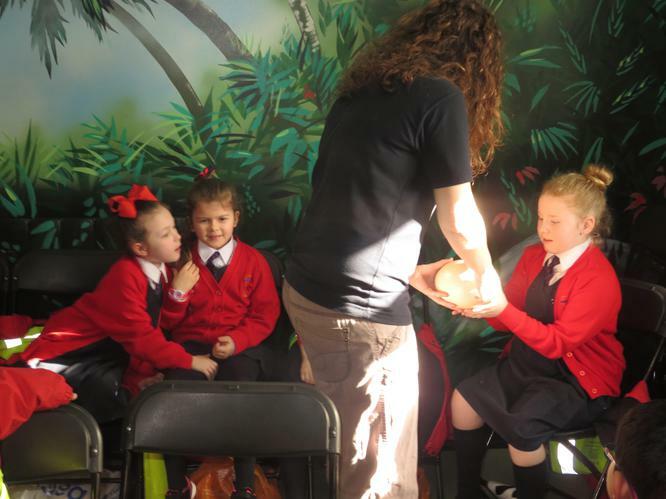 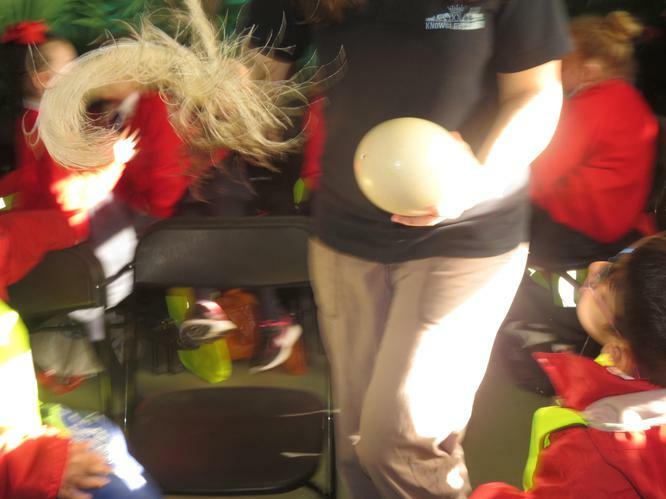 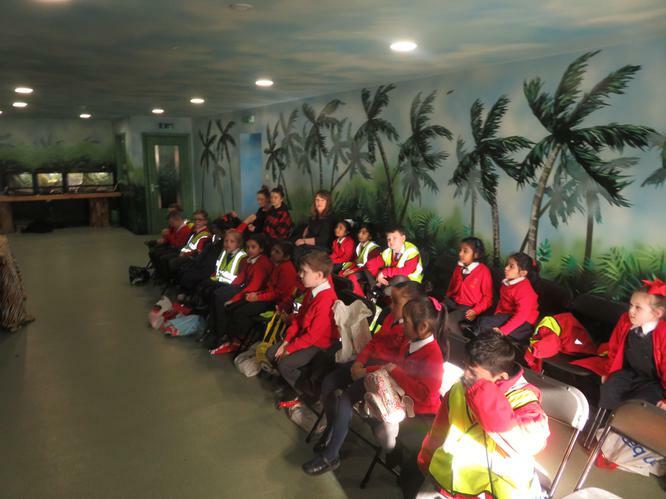 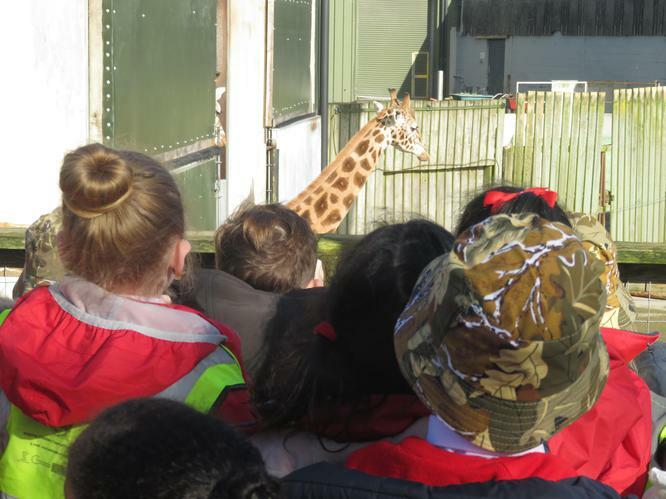 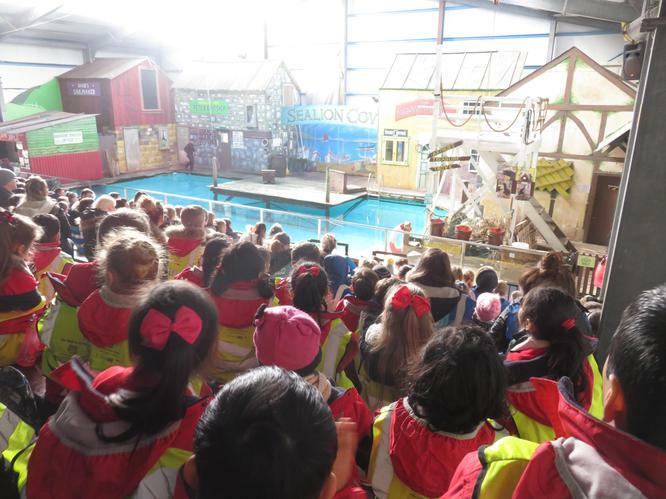 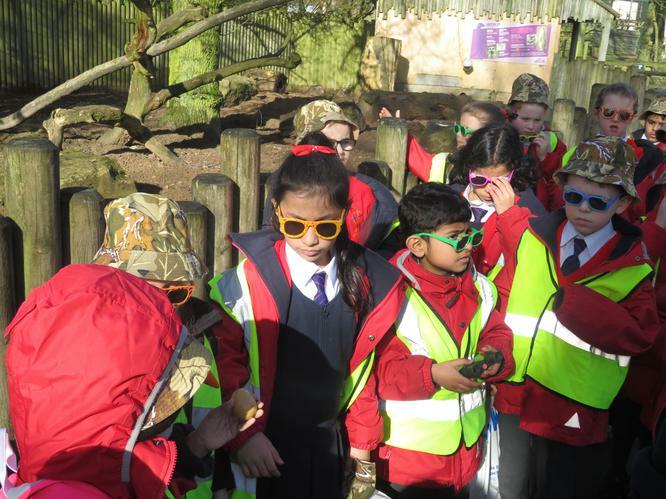 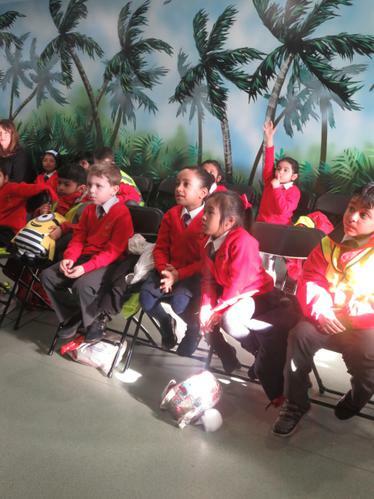 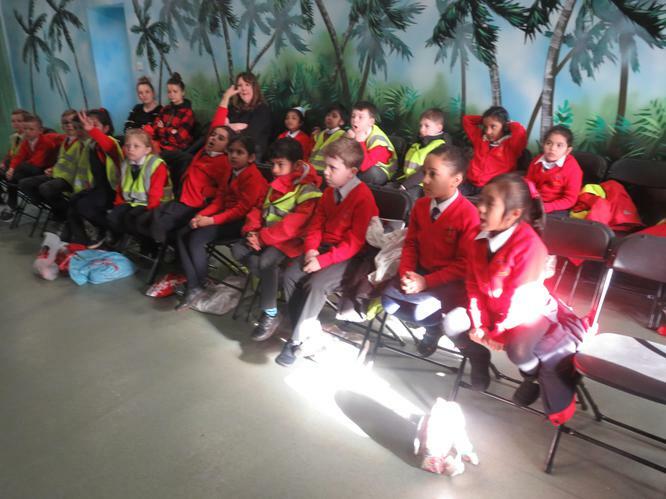 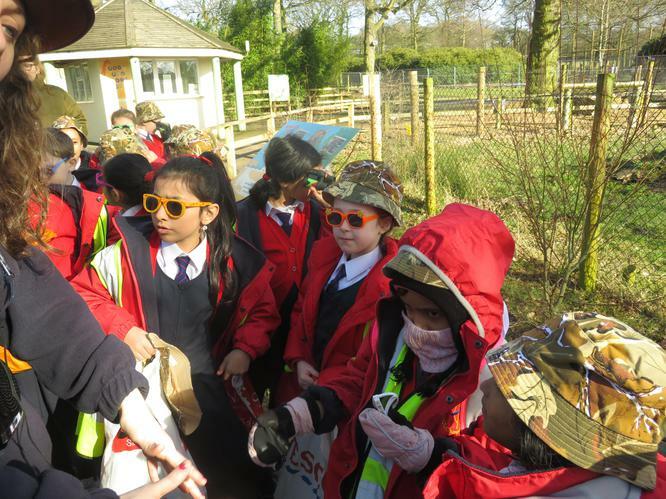 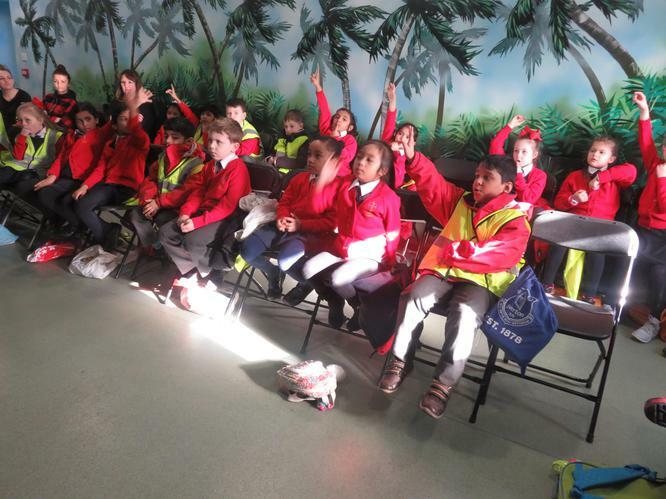 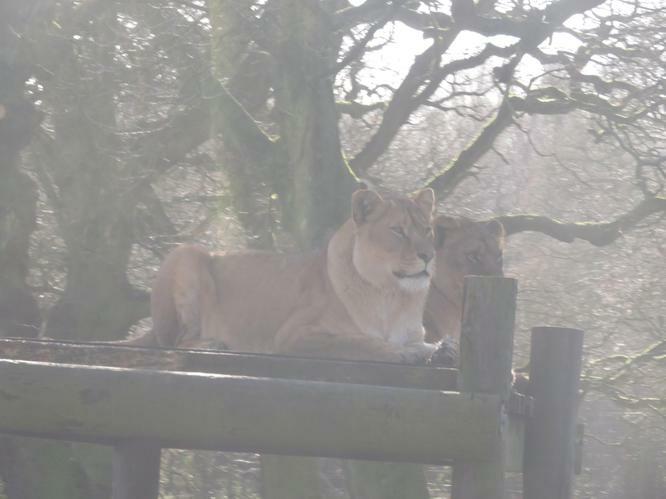 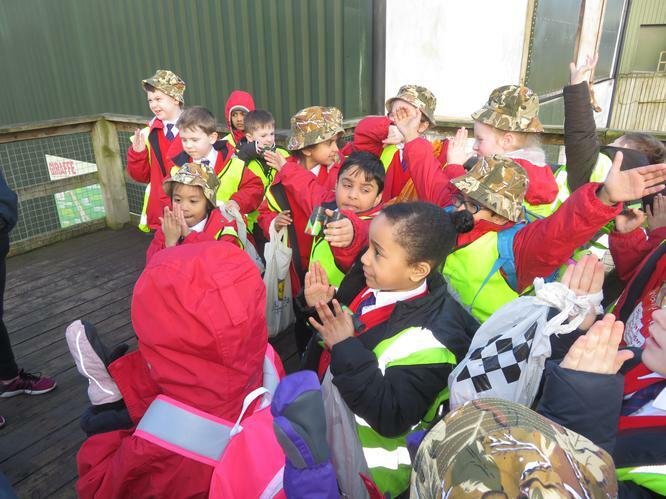 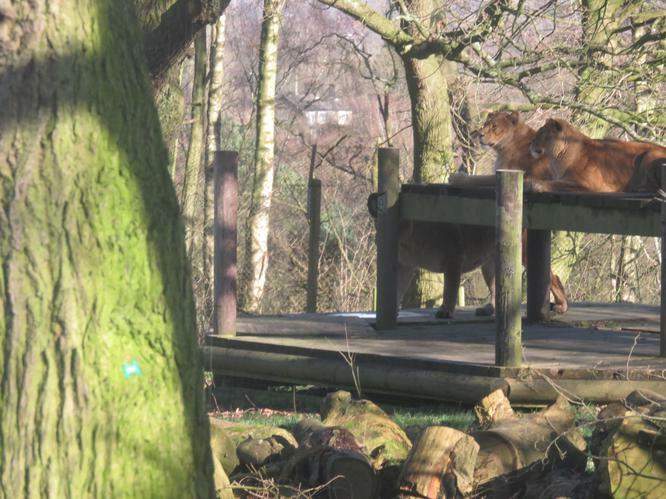 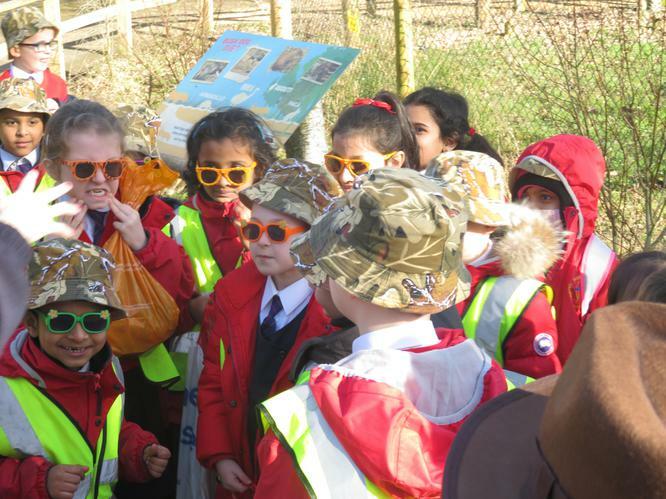 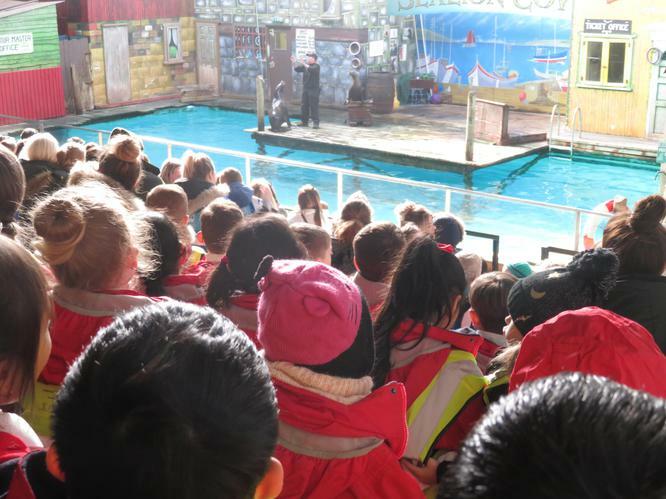 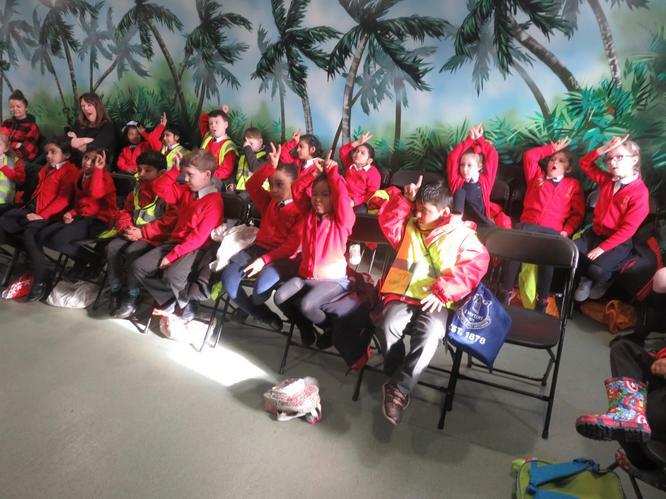 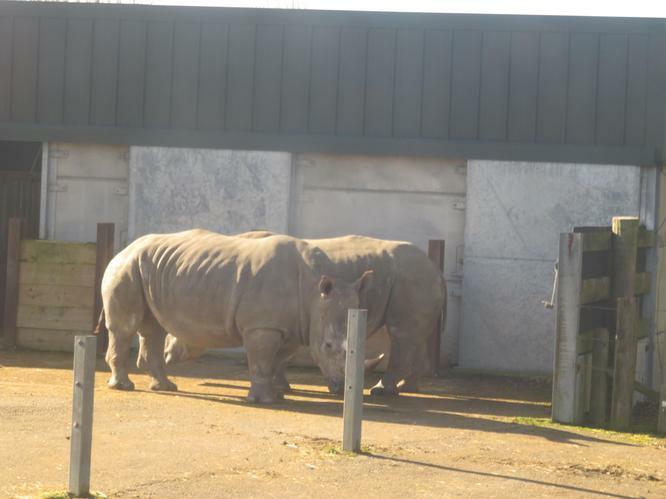 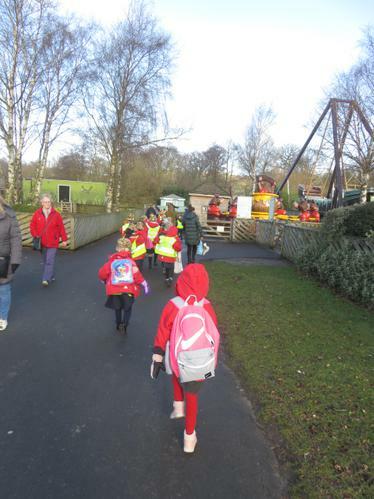 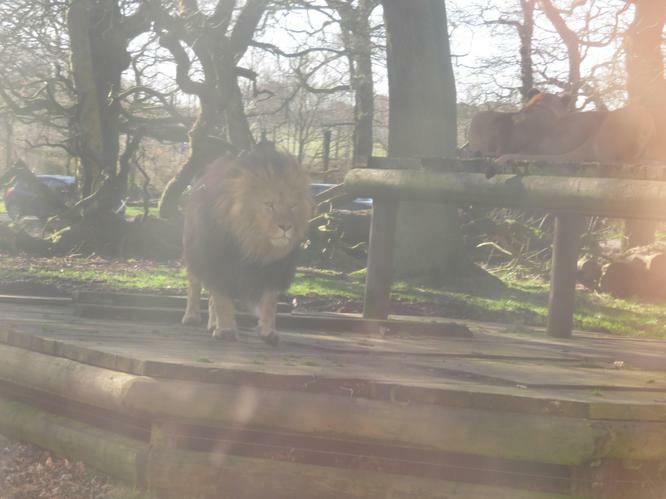 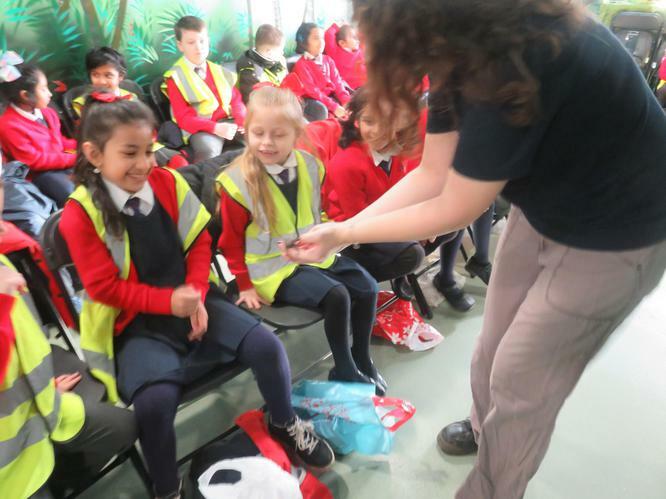 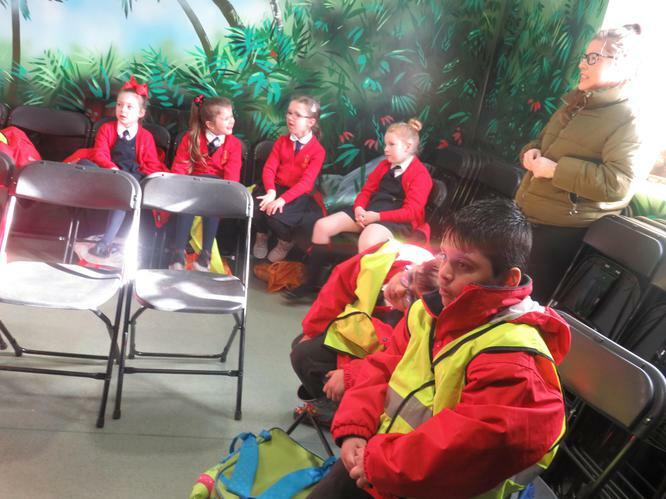 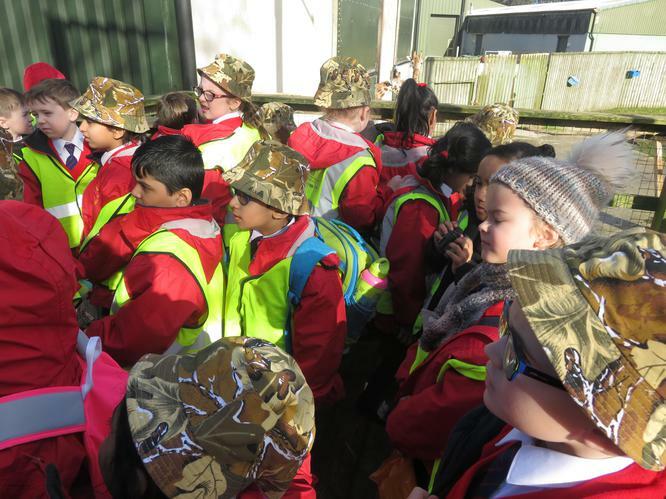 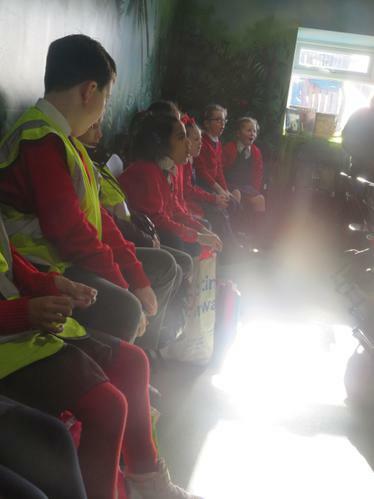 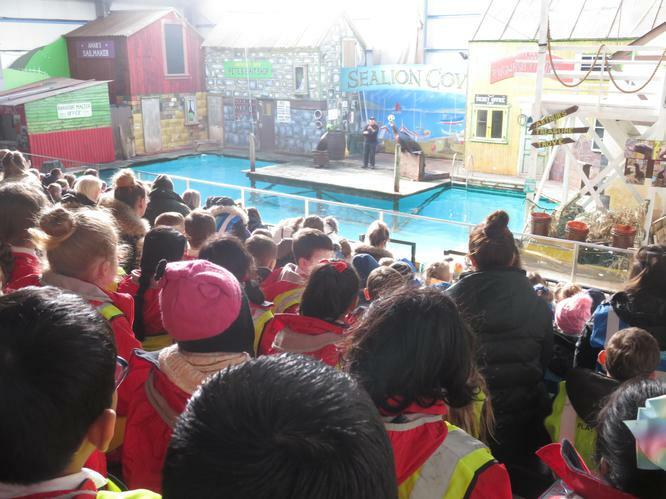 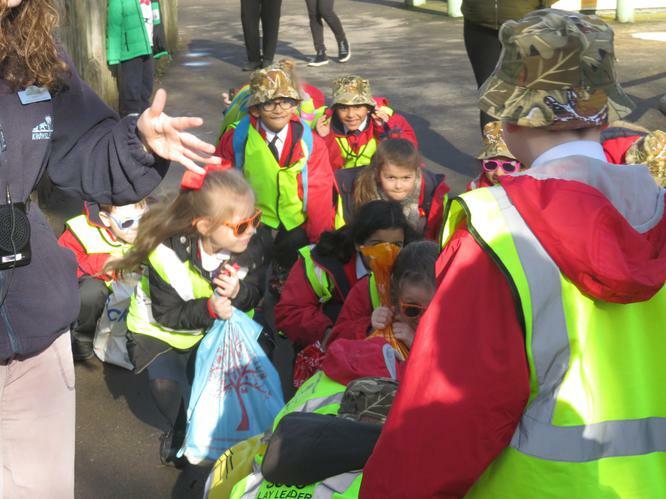 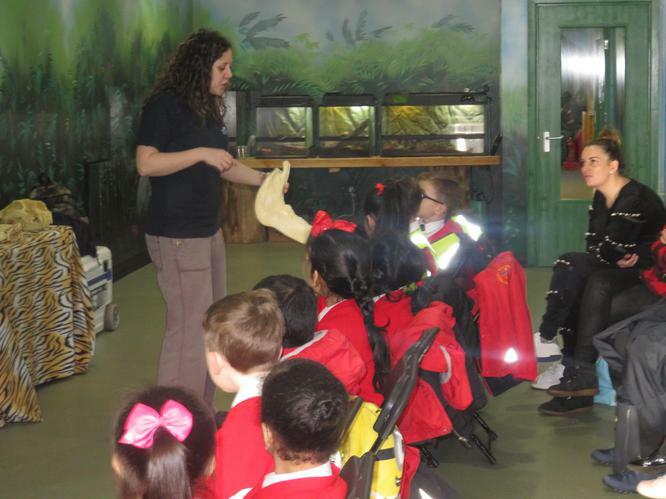 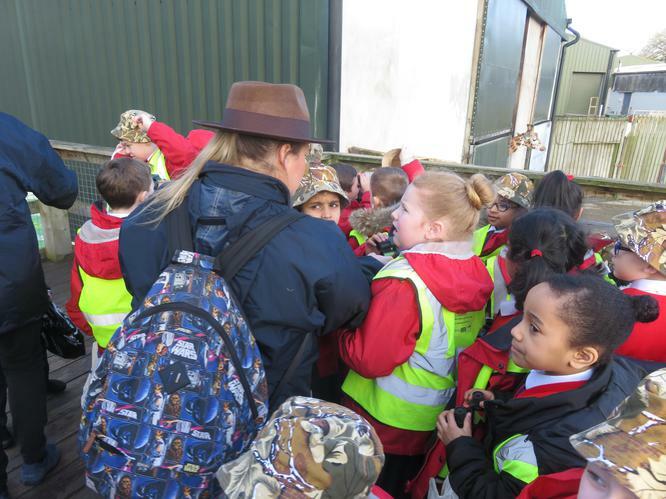 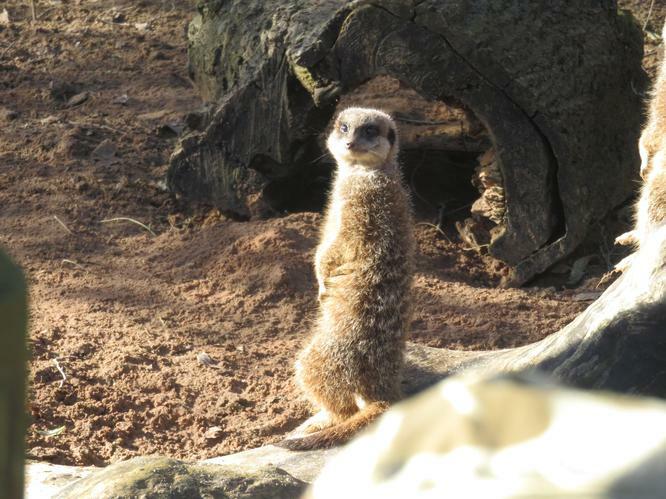 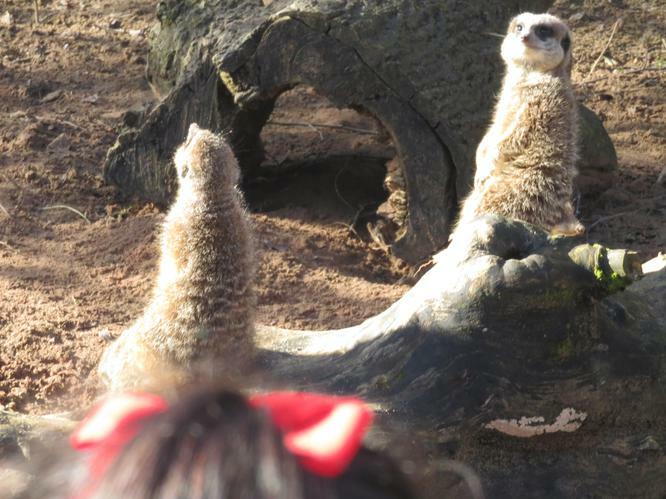 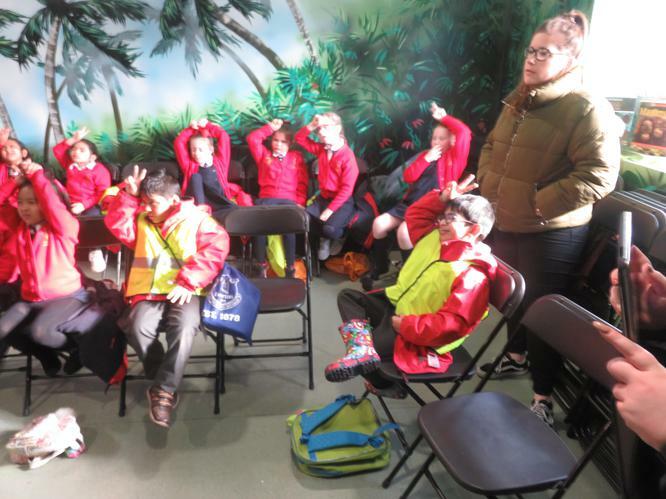 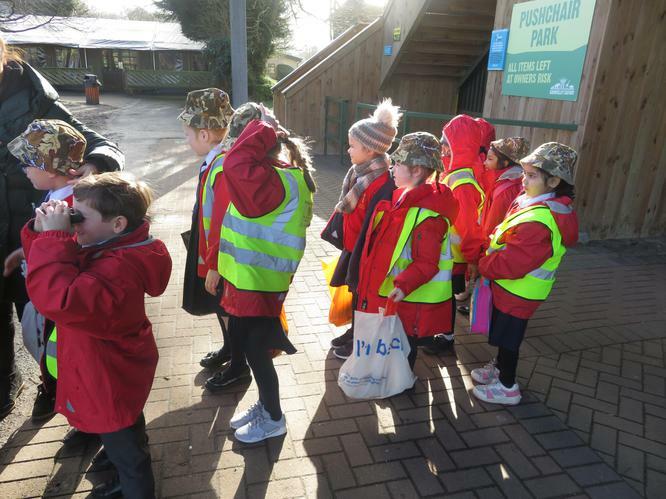 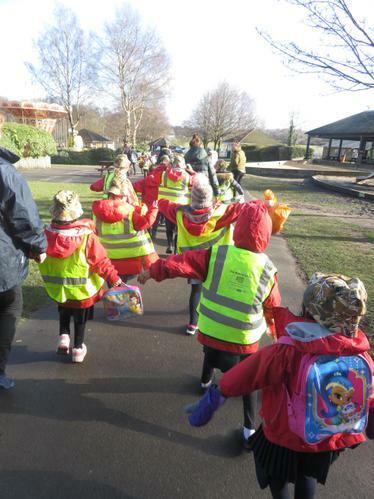 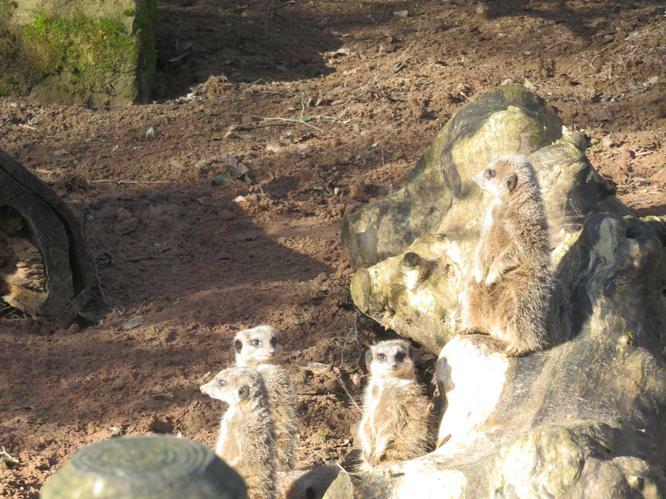 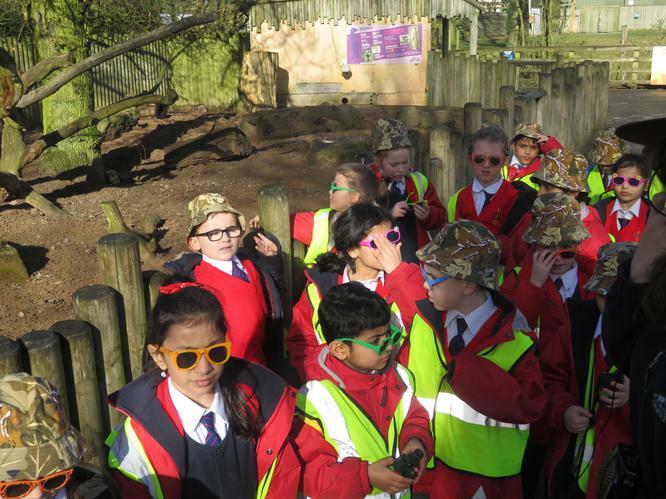 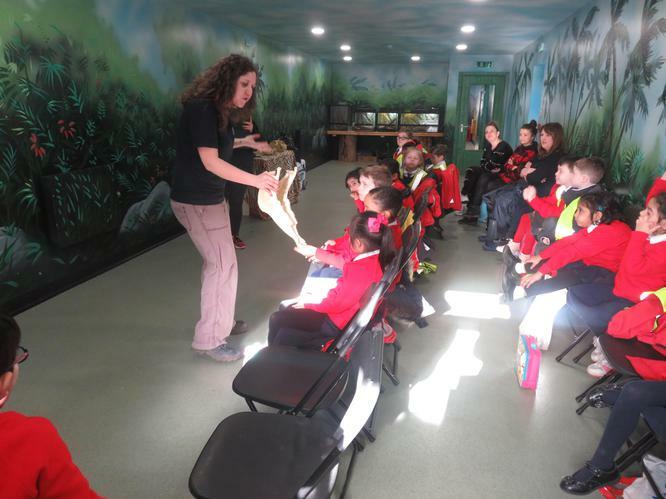 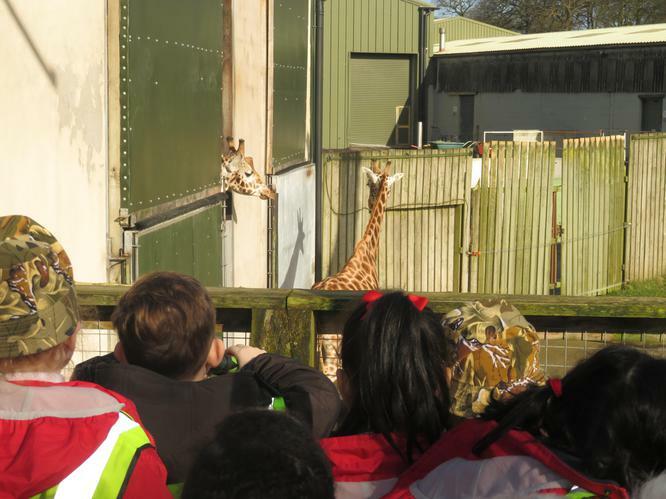 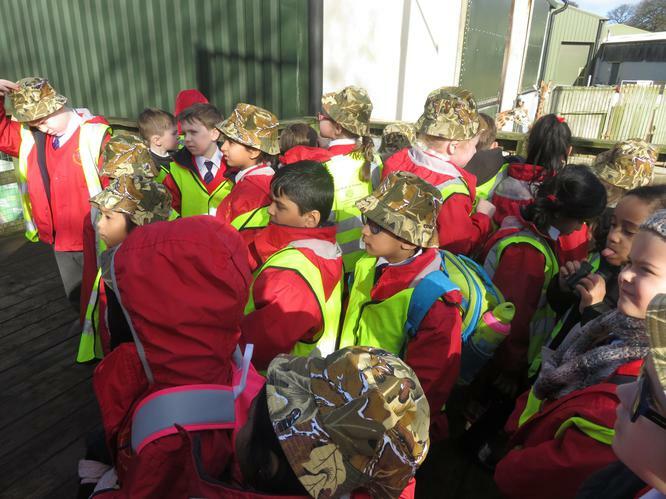 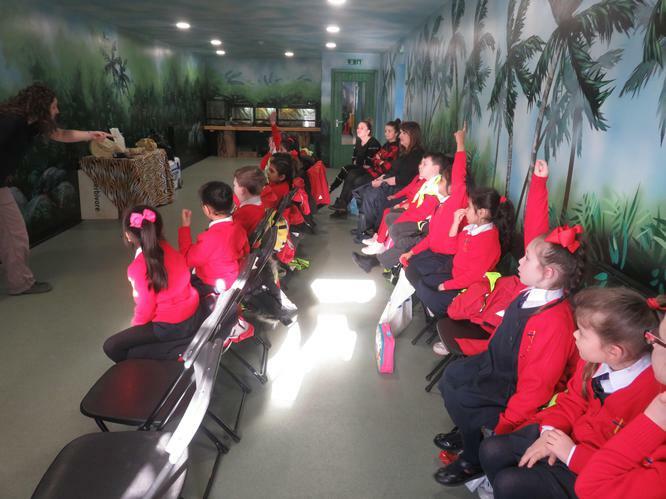 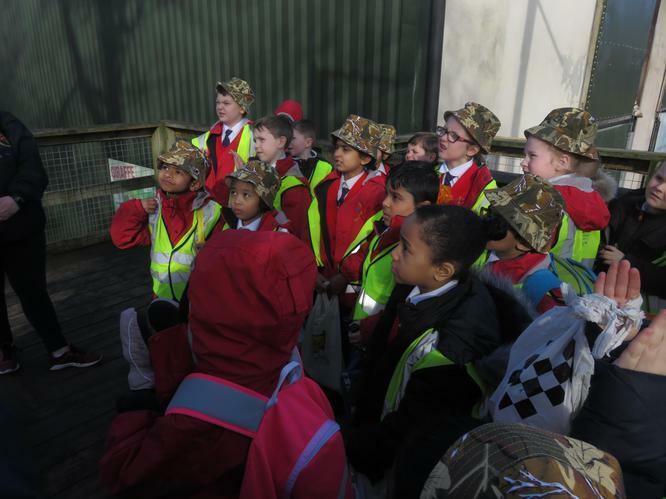 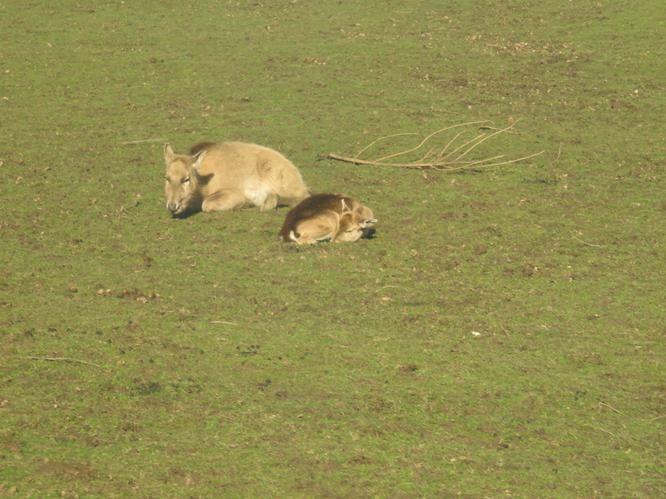 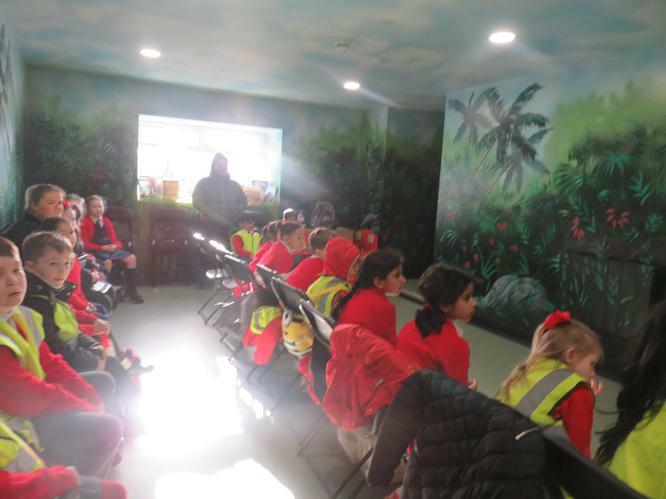 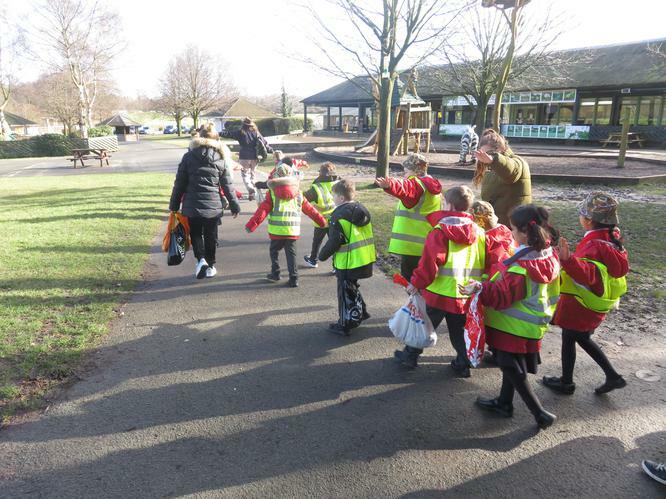 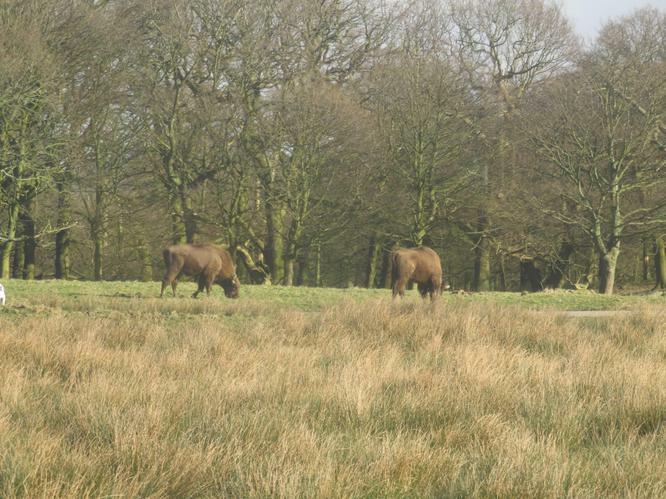 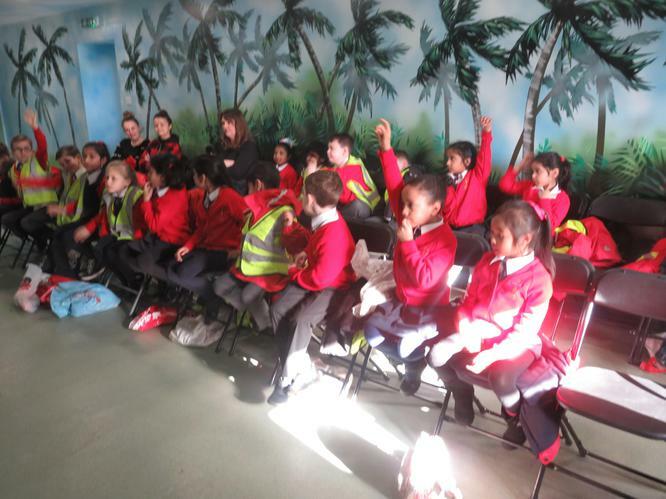 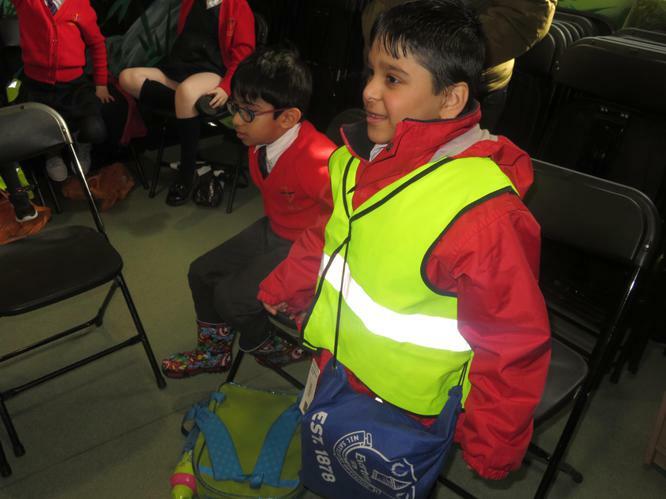 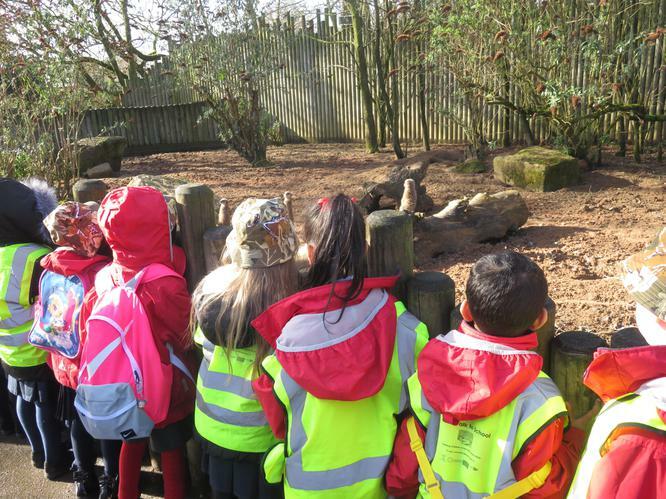 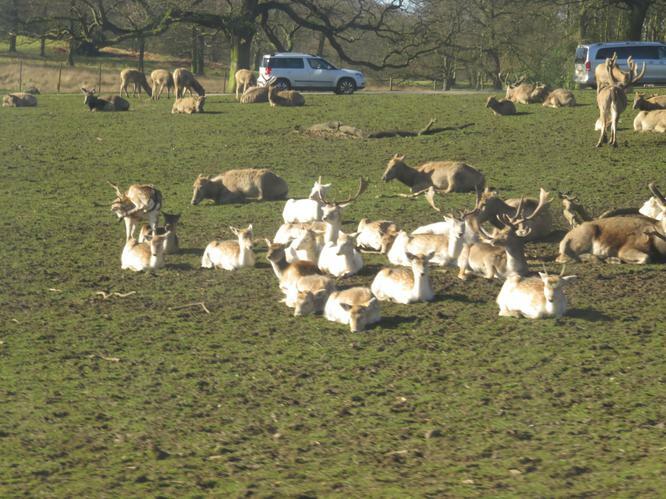 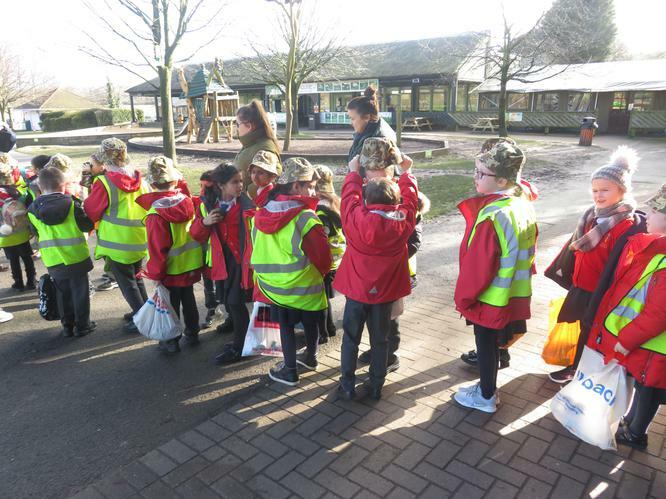 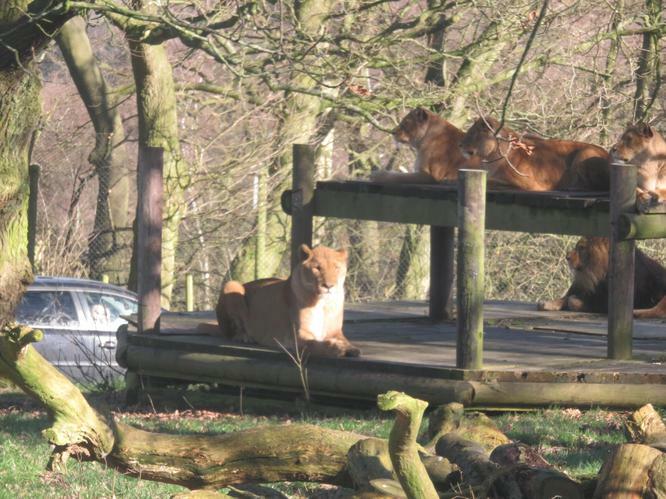 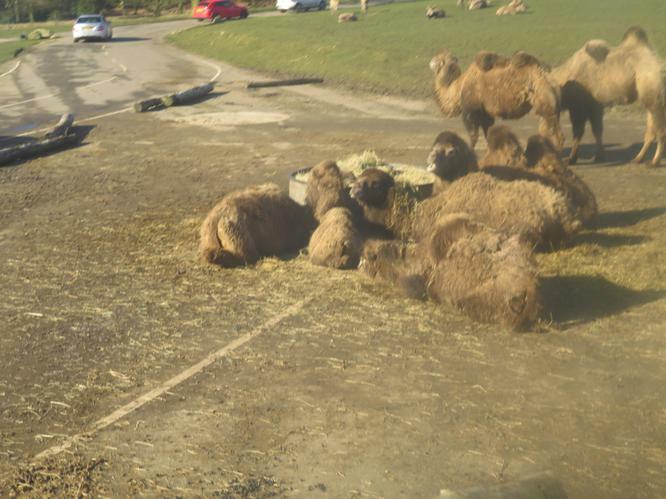 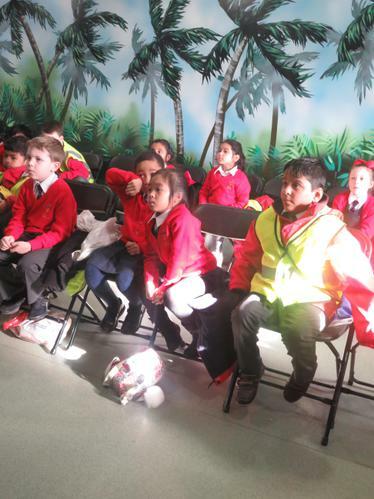 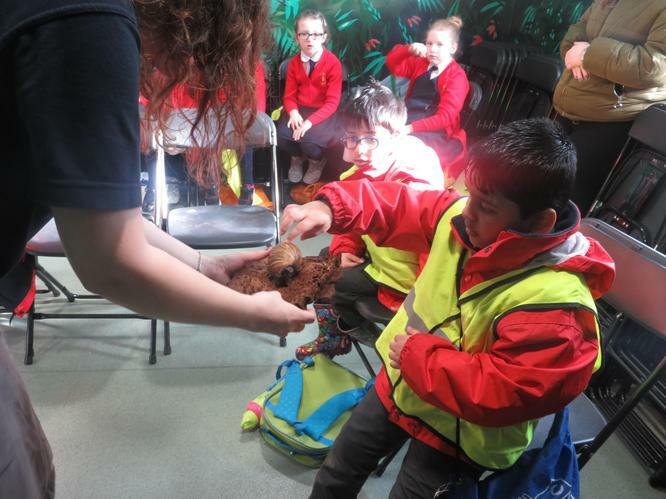 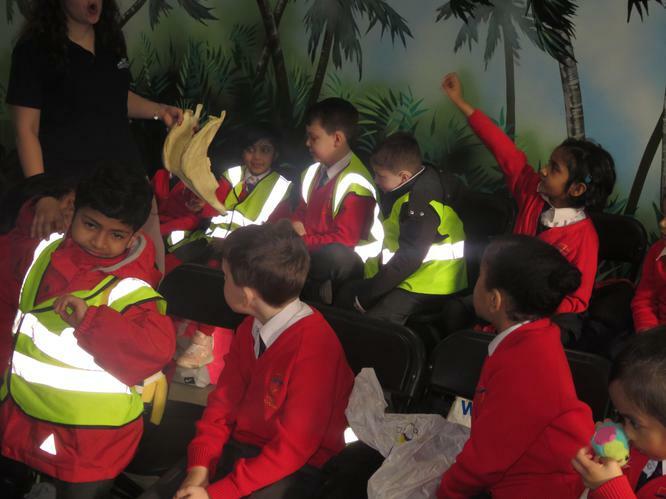 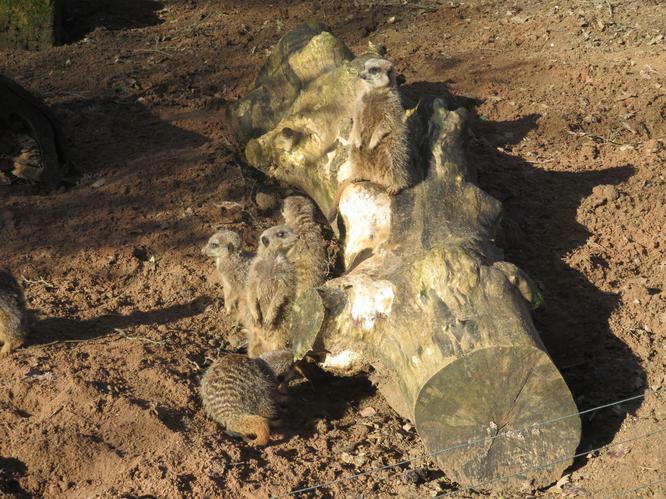 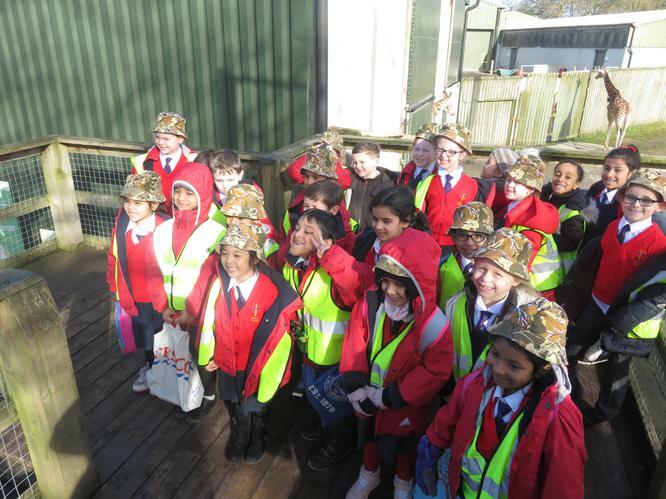 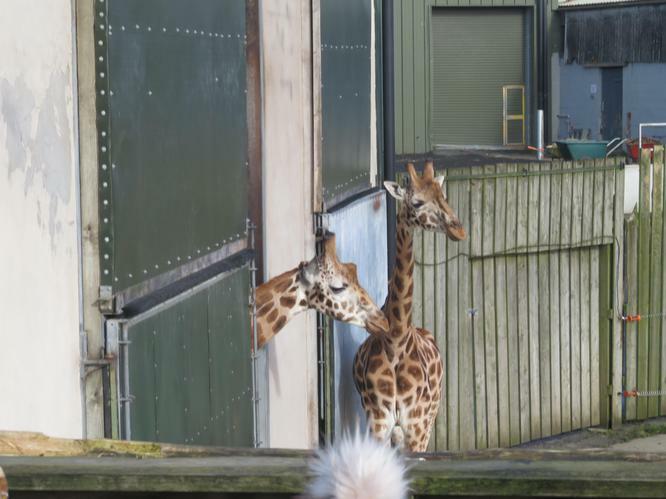 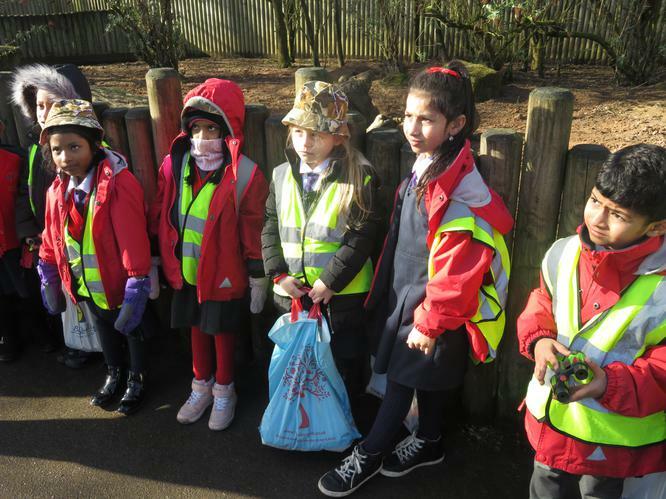 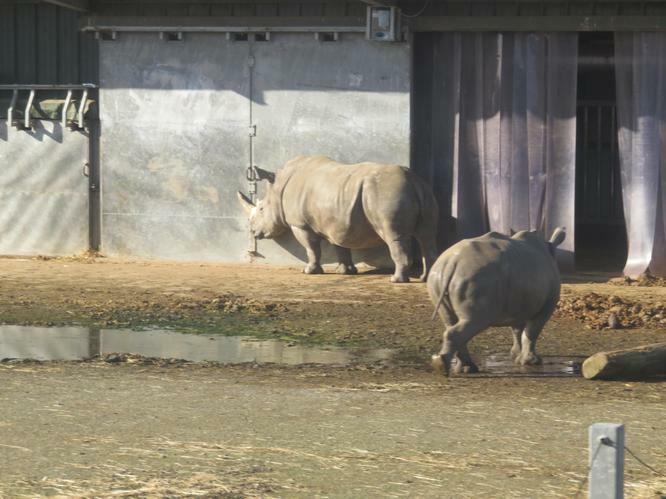 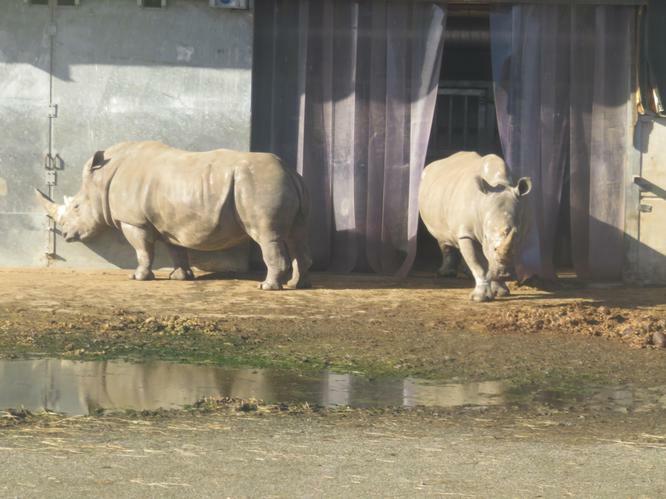 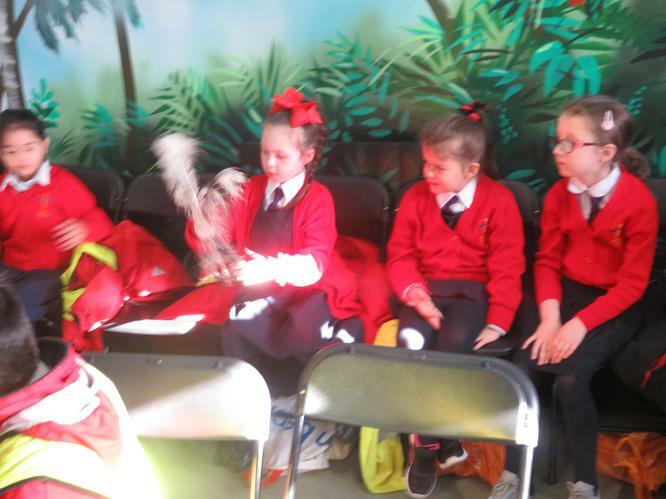 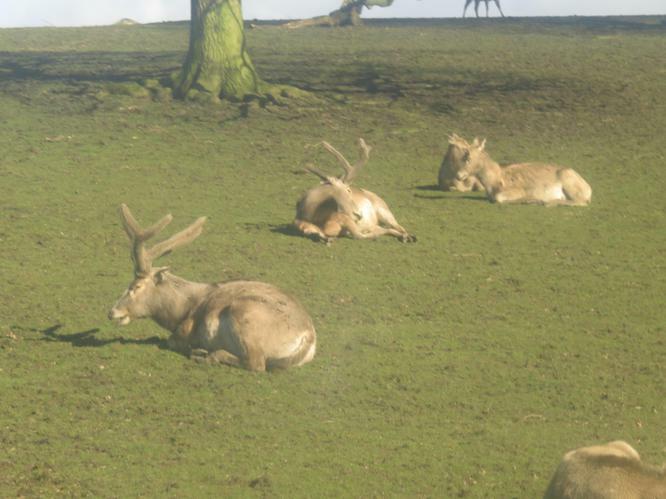 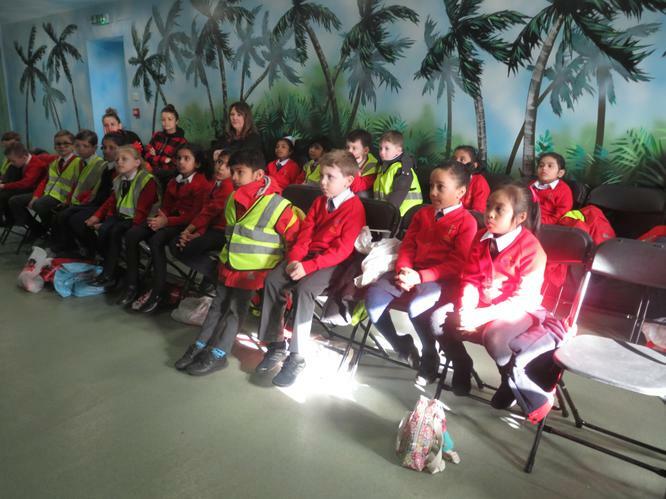 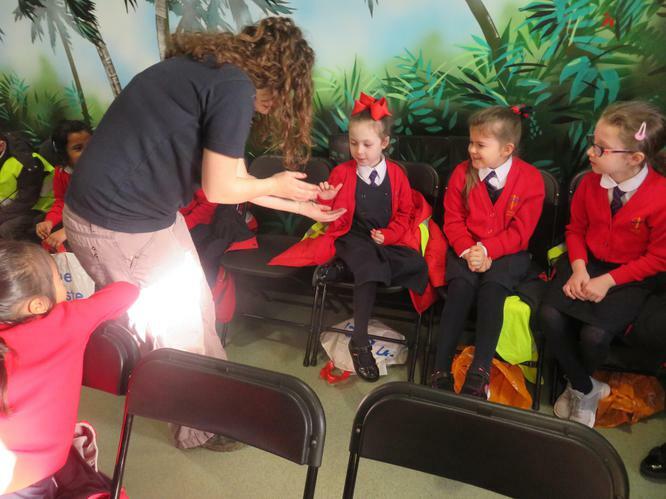 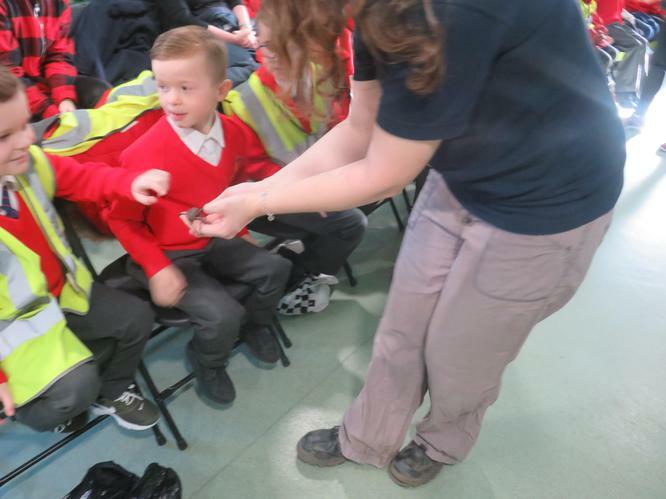 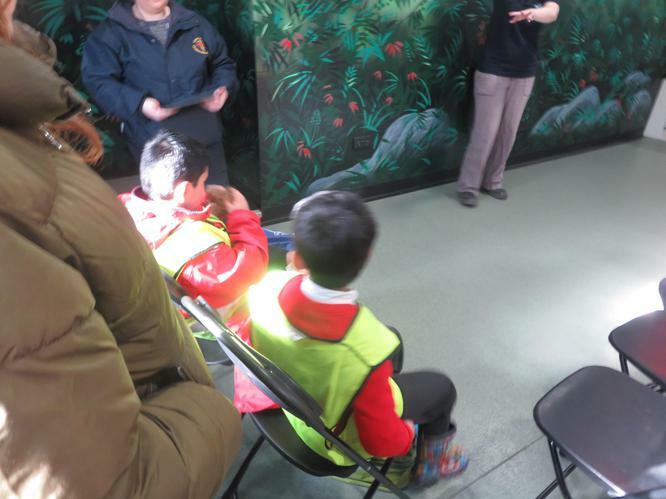 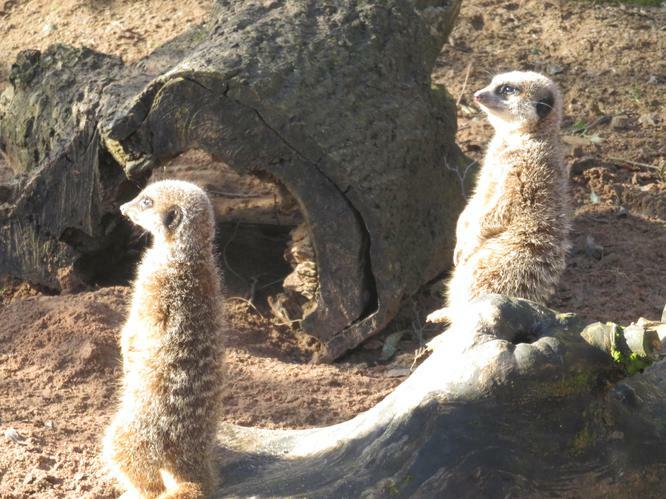 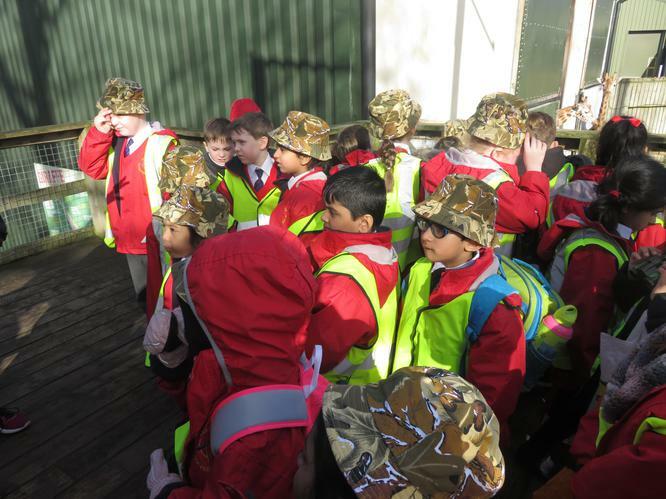 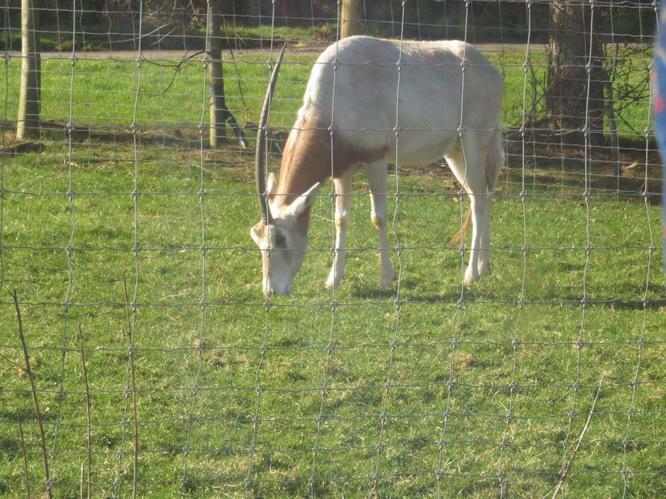 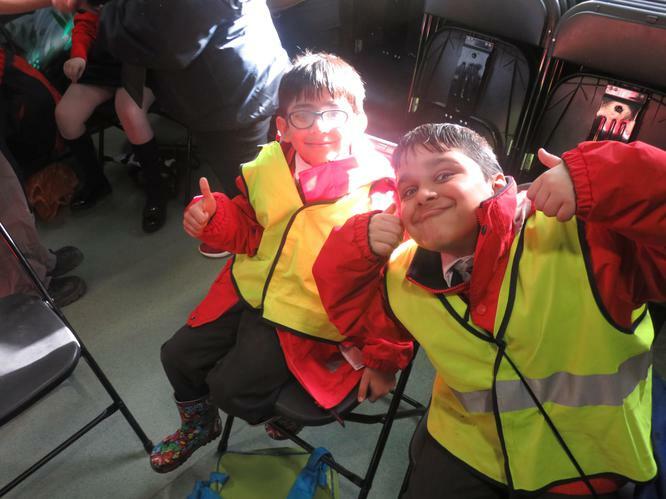 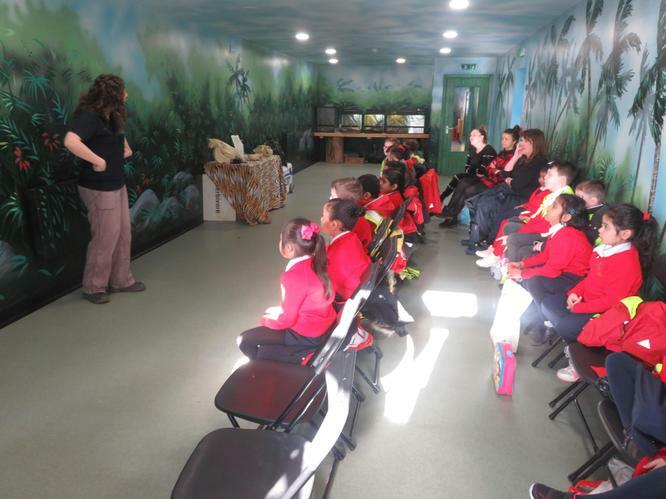 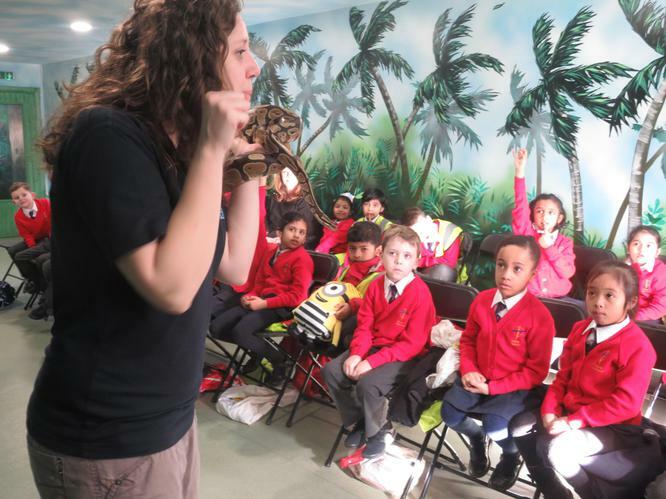 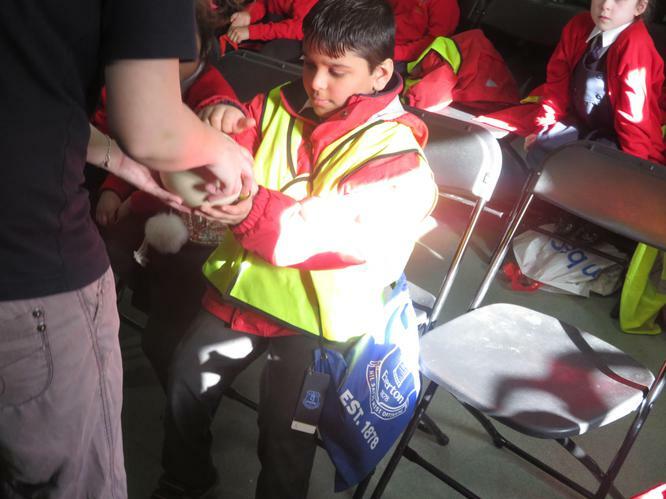 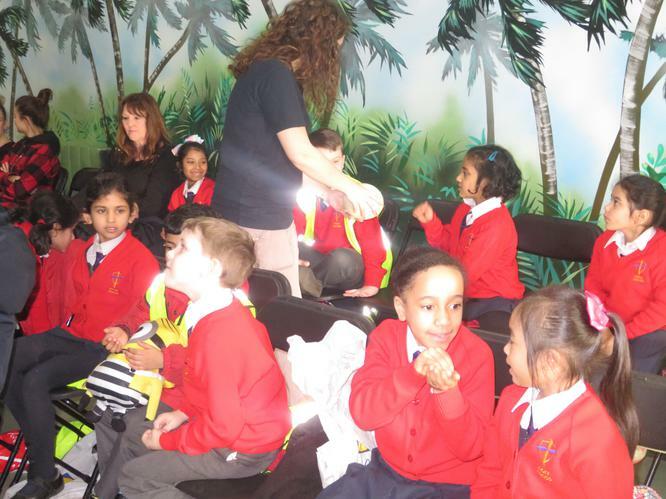 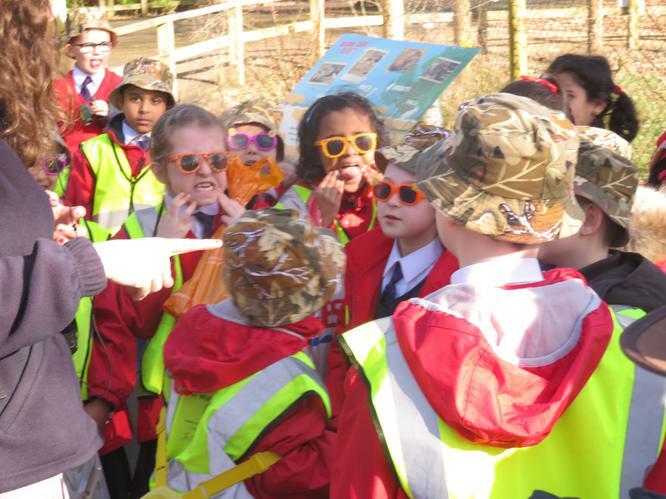 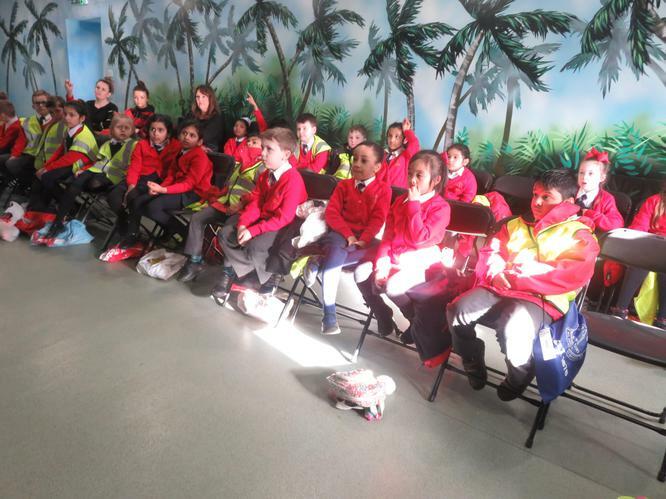 On Tuesday 20th February Year 2 went on a trip to Knowsley Safari Park. 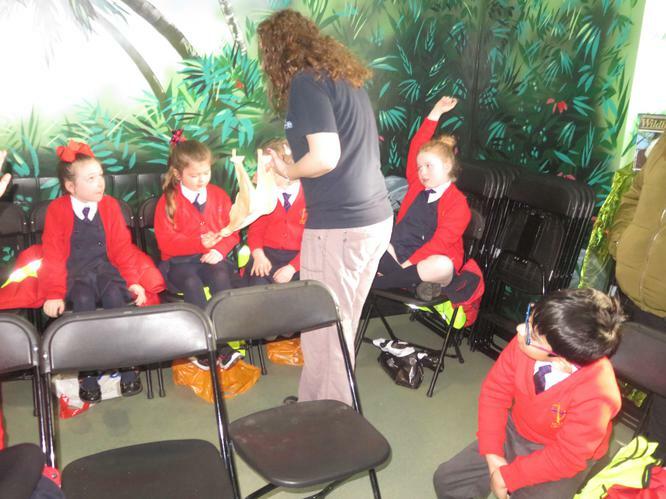 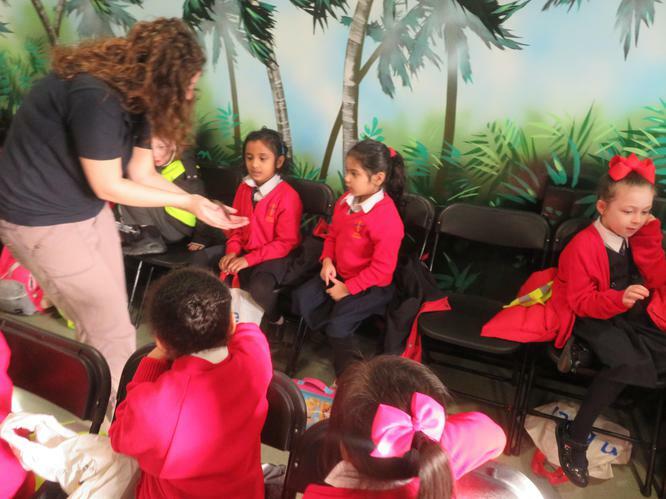 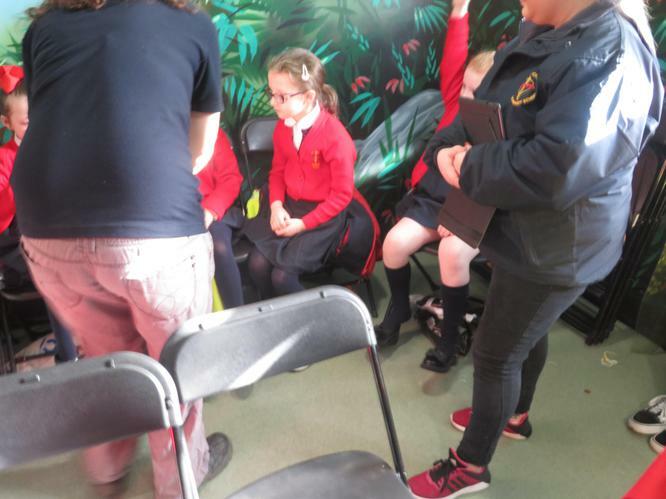 First they had an interesting workshop on Habitats. 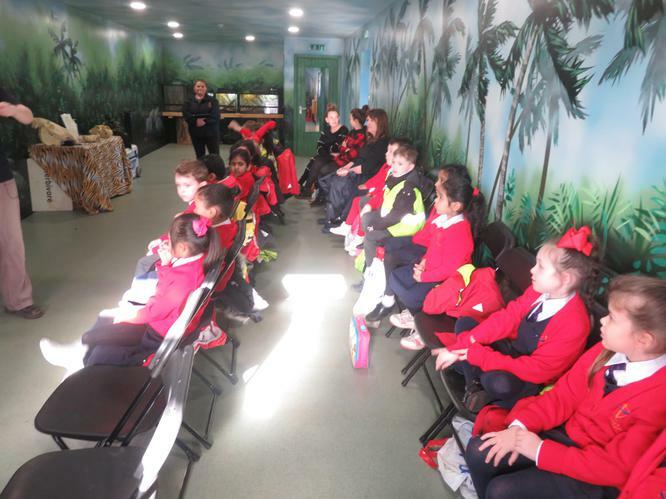 They showed off all of their knowledge about the Sahara Desert, the Rainforests and the African Greenlands. 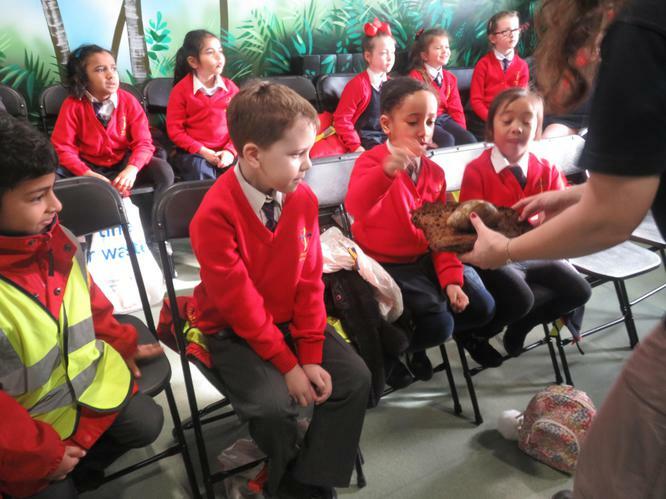 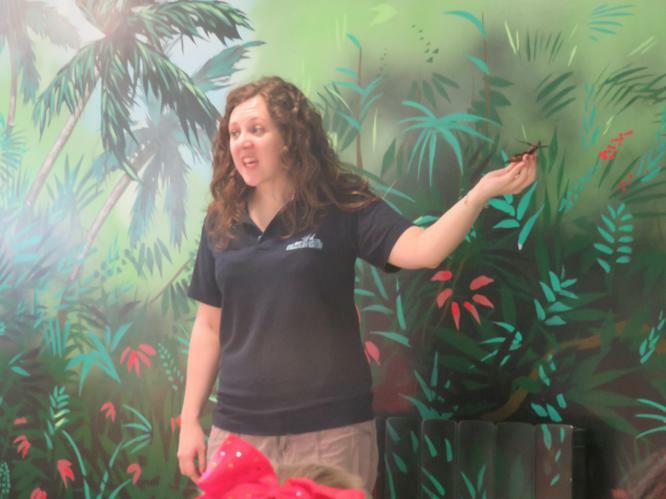 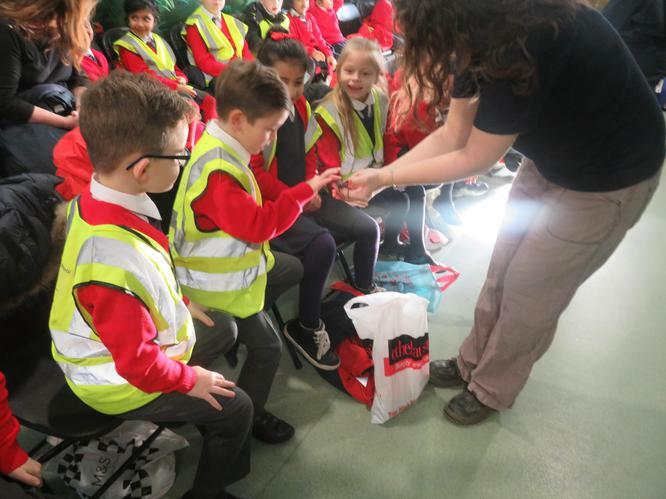 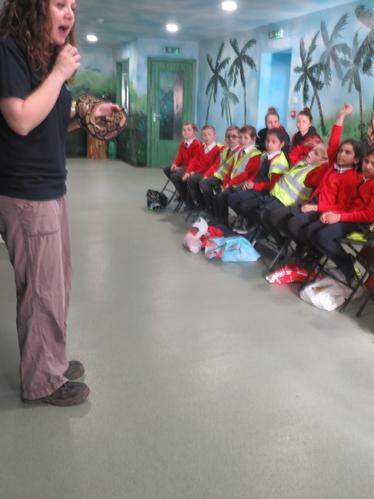 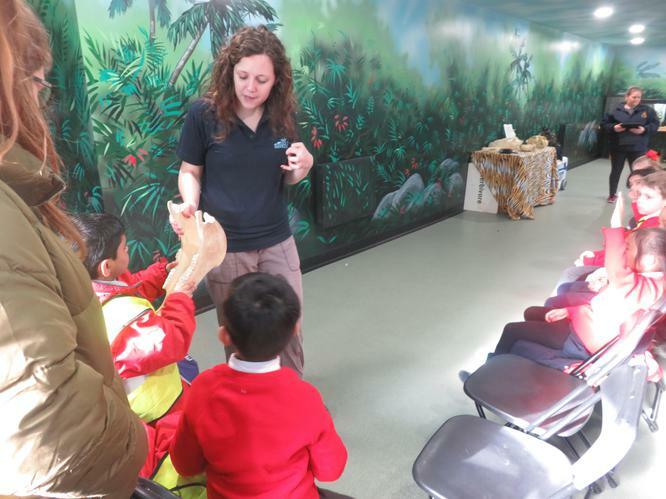 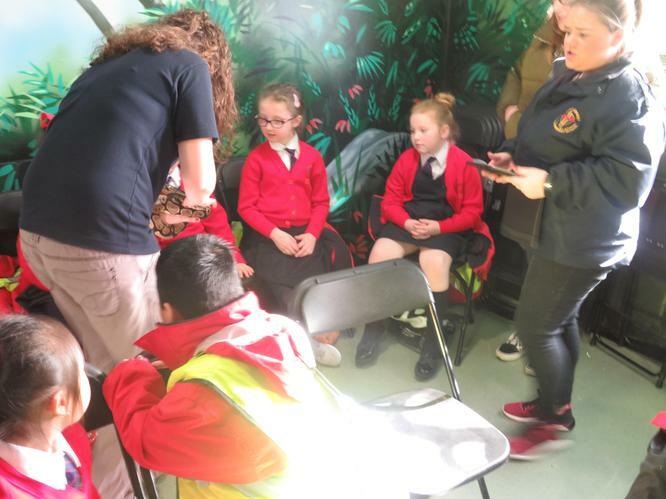 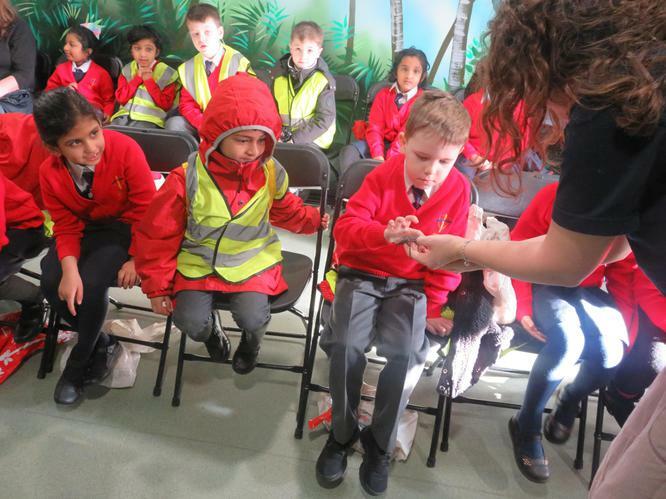 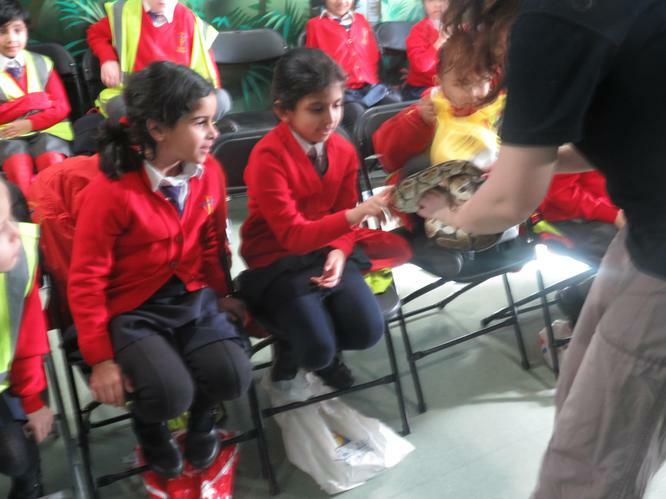 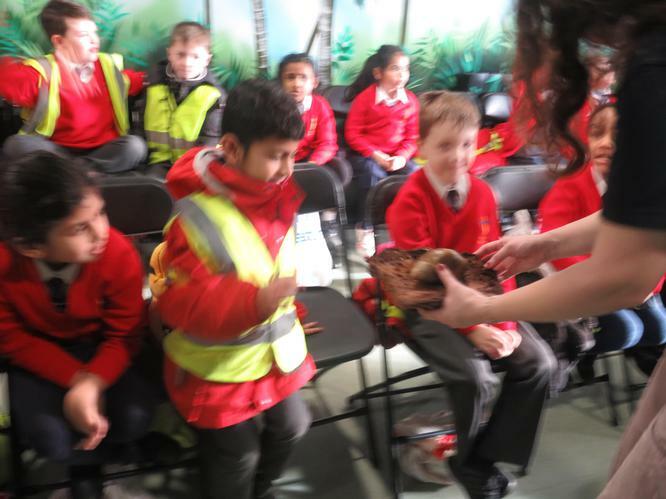 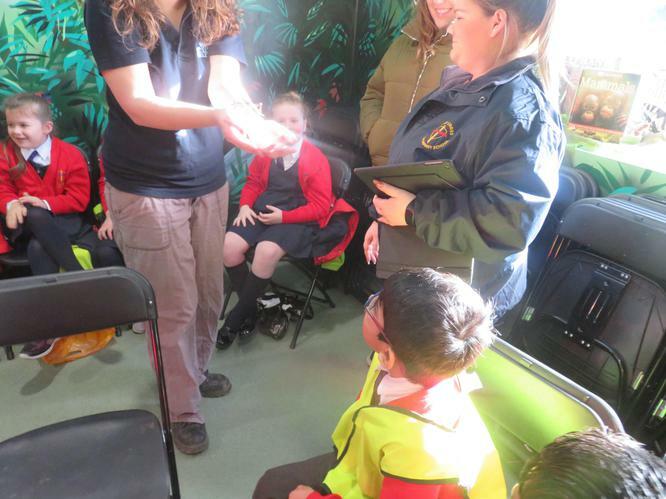 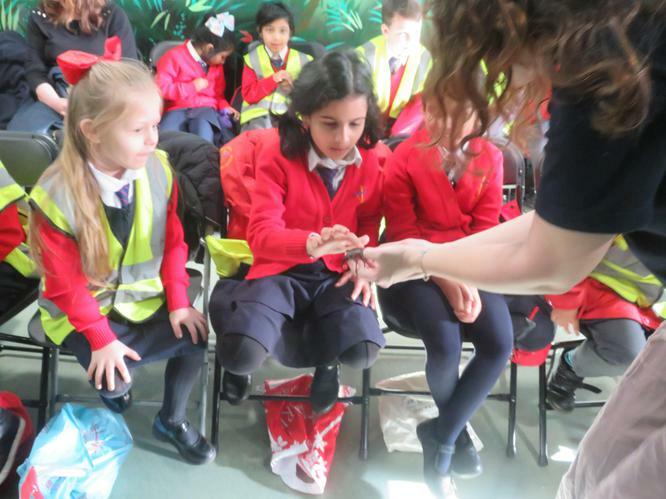 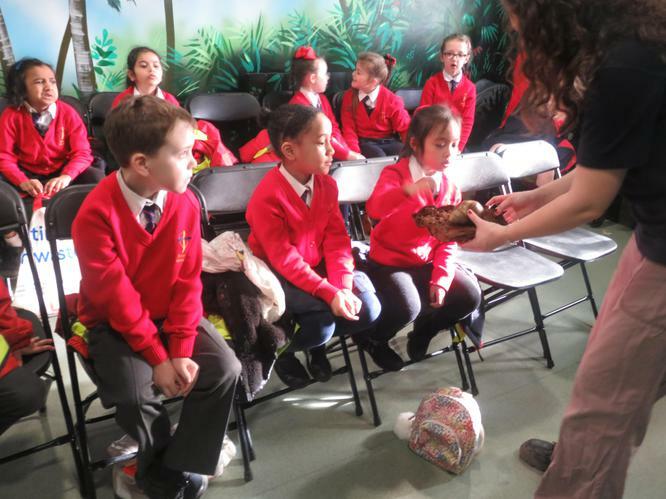 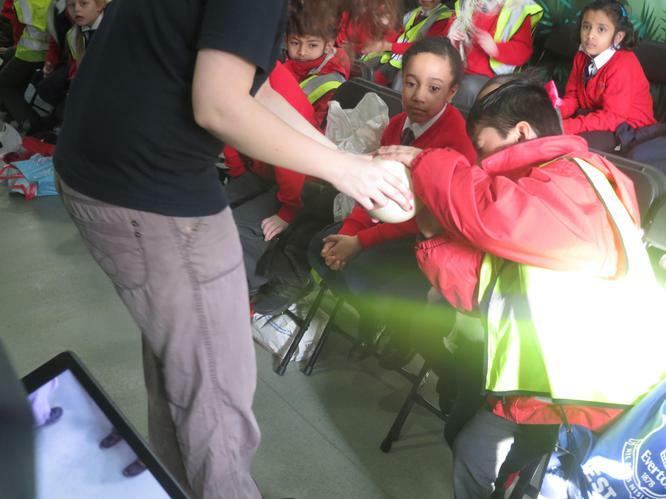 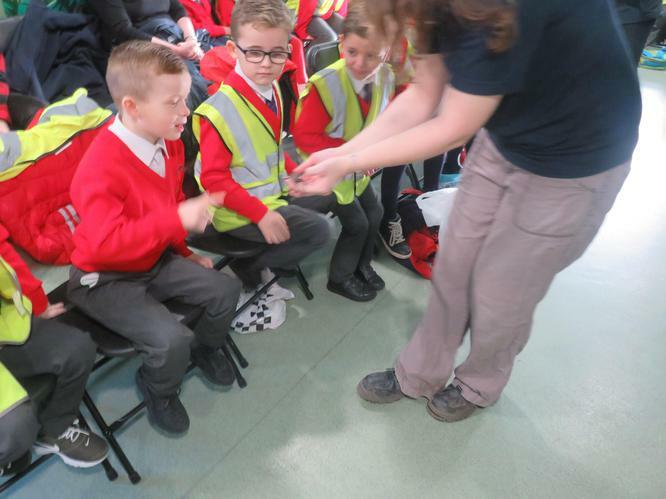 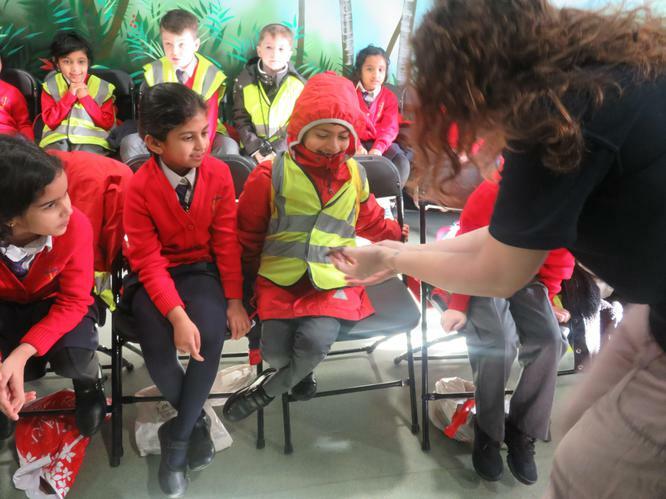 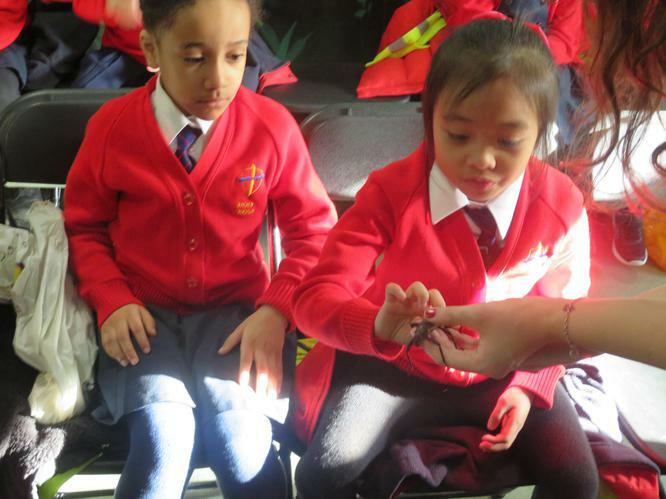 They even got to touch a stick insect, a giant snail and a snake. 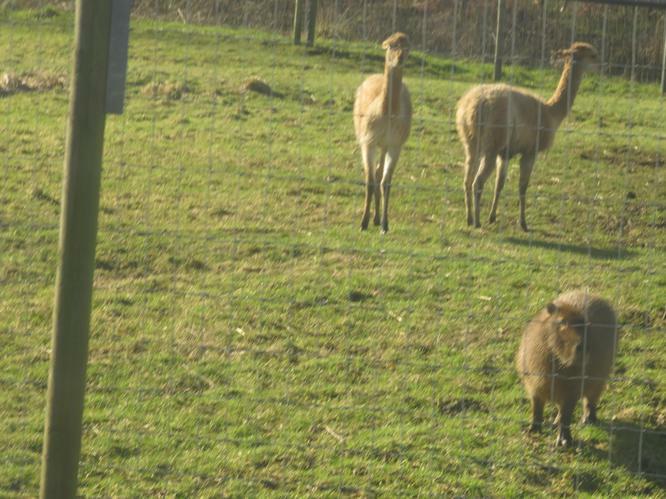 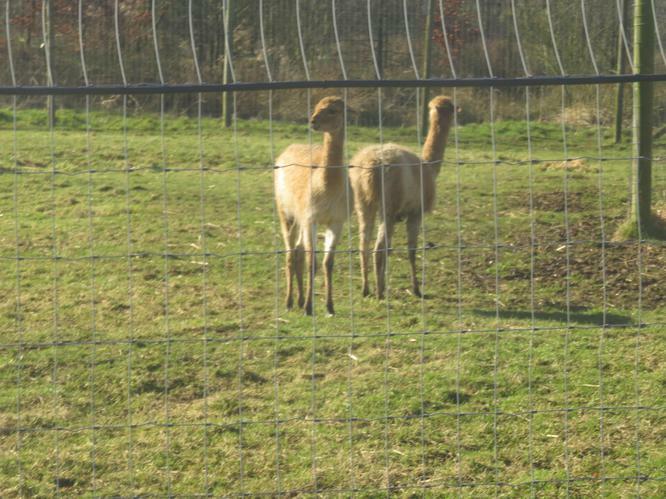 As well as holding some camel fur and seeing skulls of different animals (luckily these were fake. 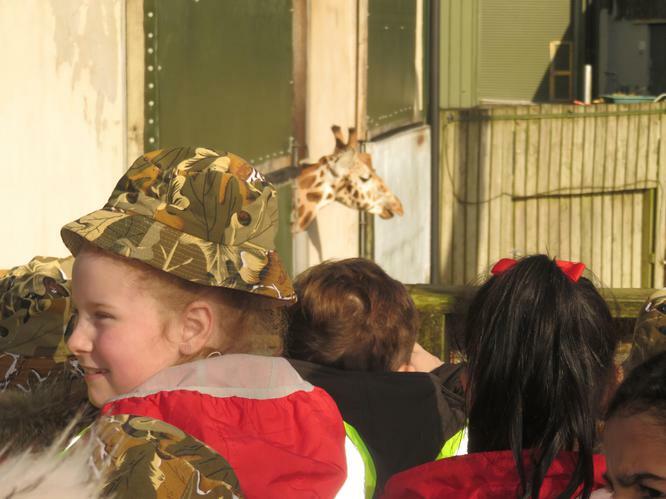 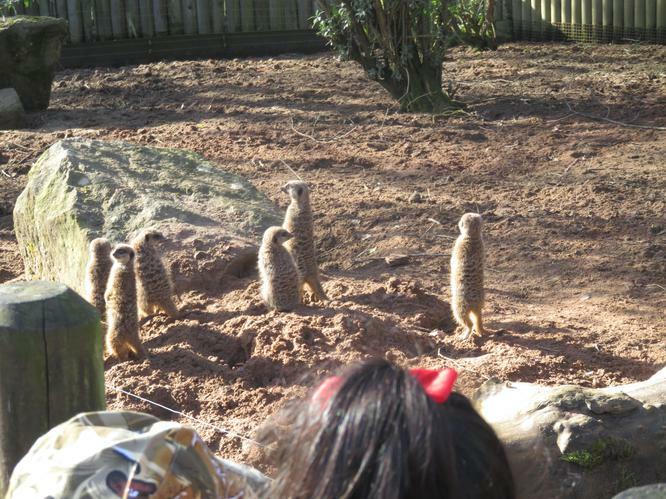 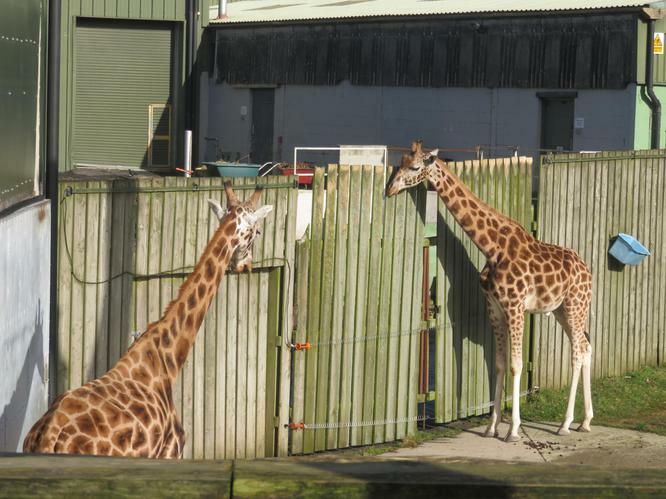 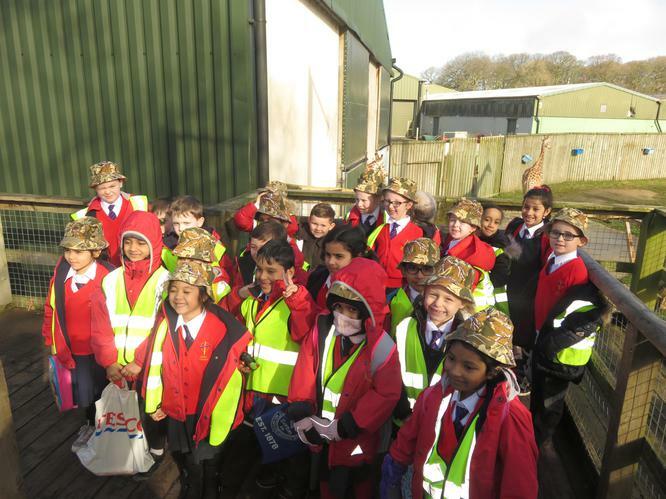 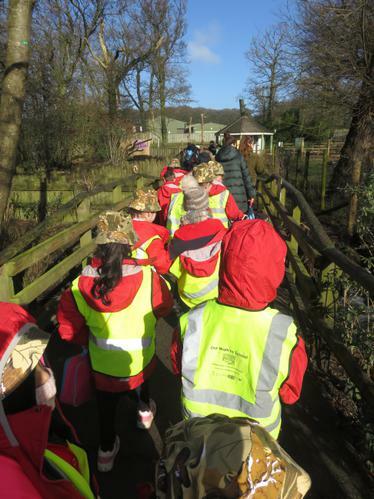 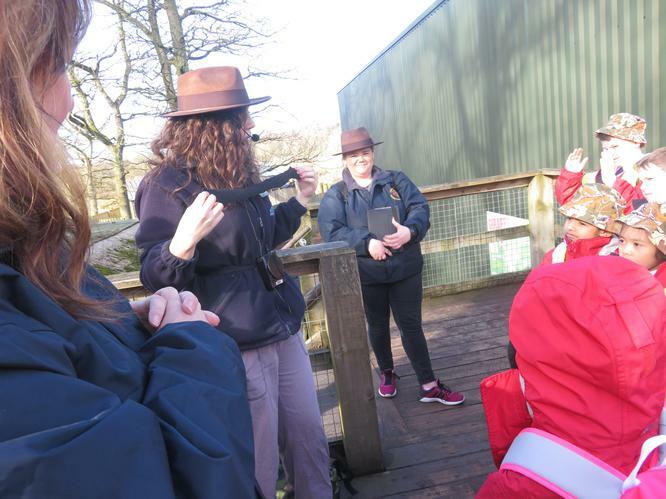 Next they put on their hats and went on a walking tour to see the Giraffes and Meerkats. 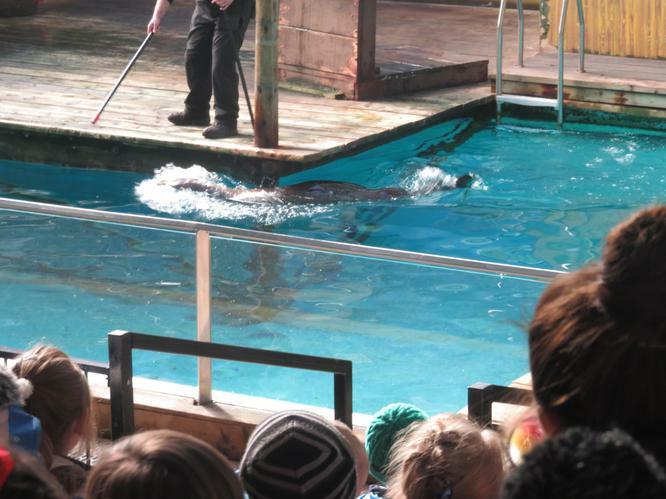 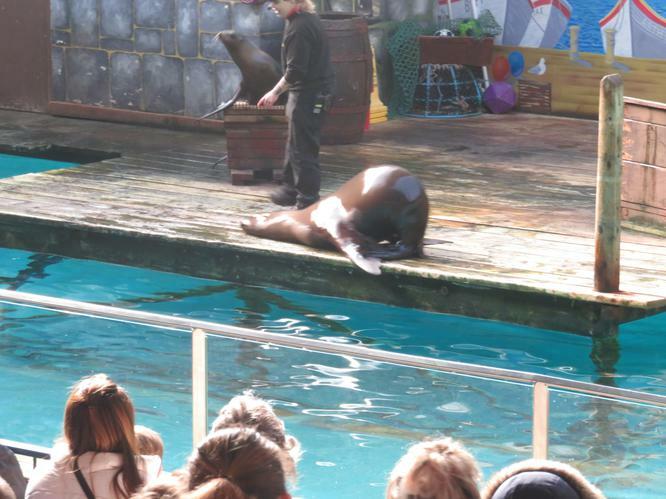 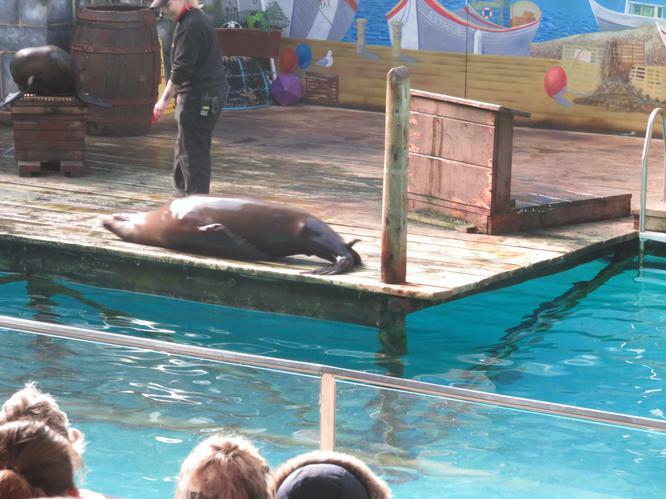 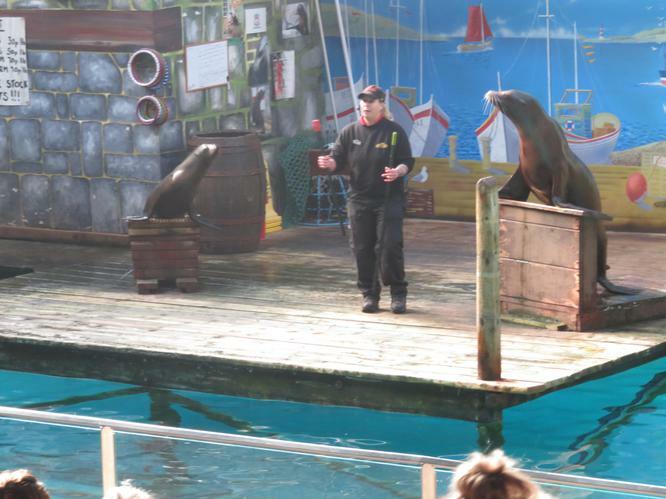 After this they had some lunch before watching the incredible Sealion display. 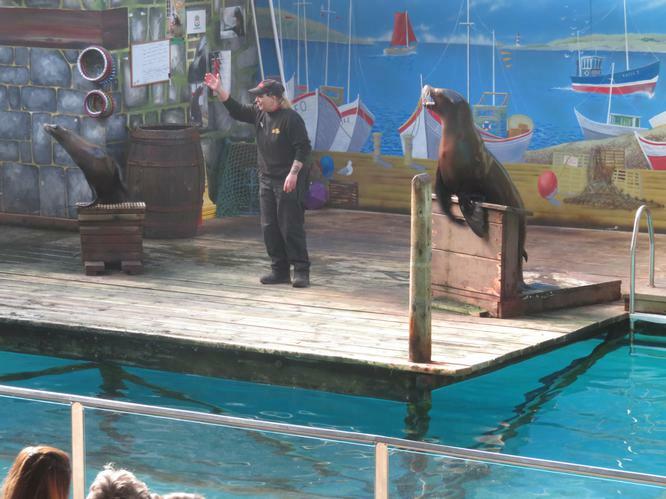 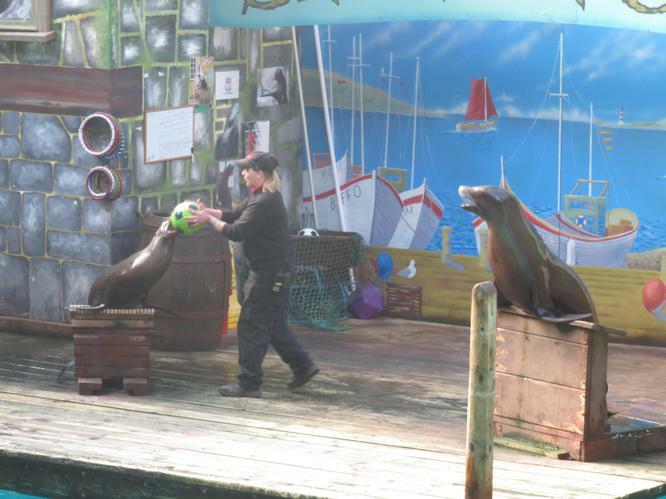 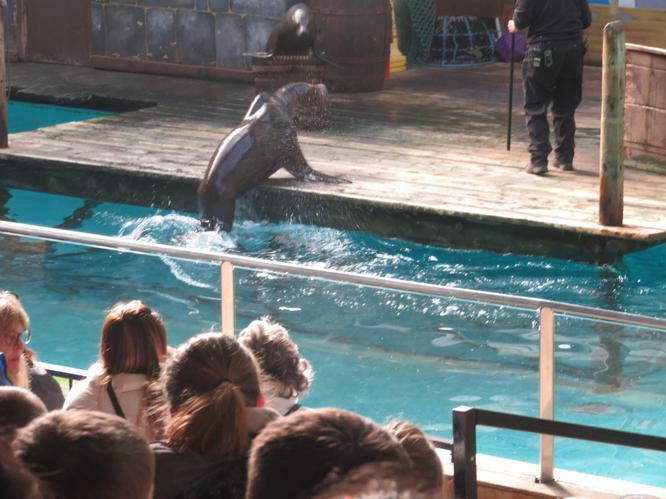 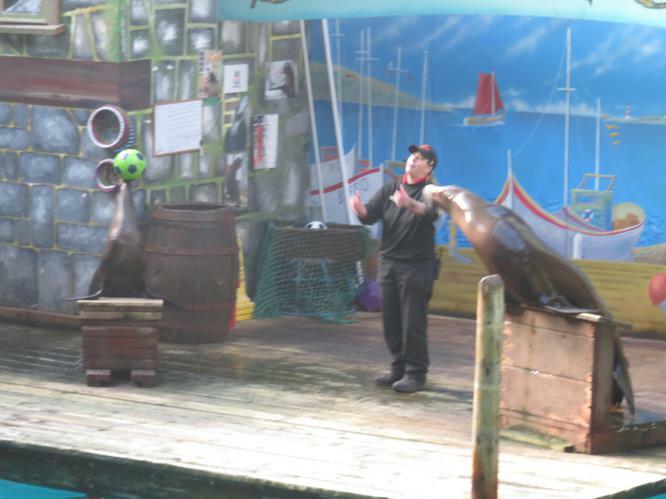 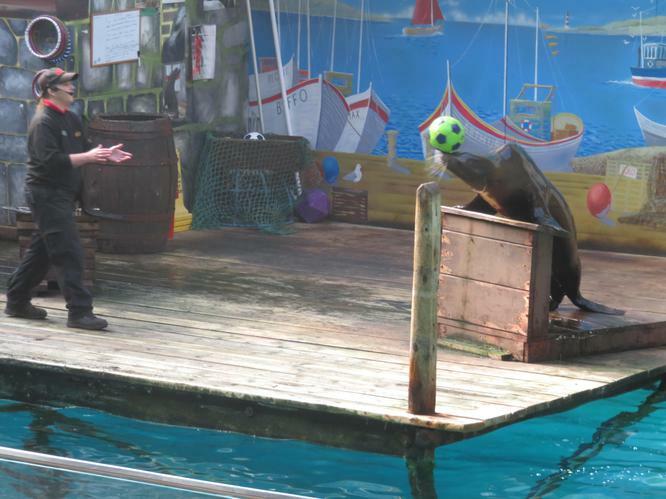 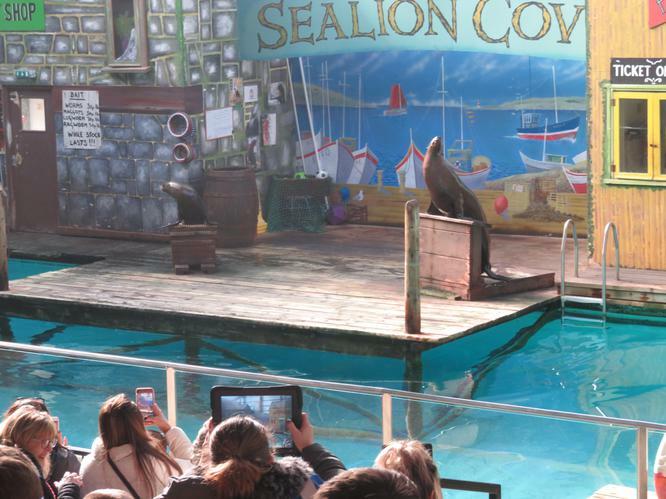 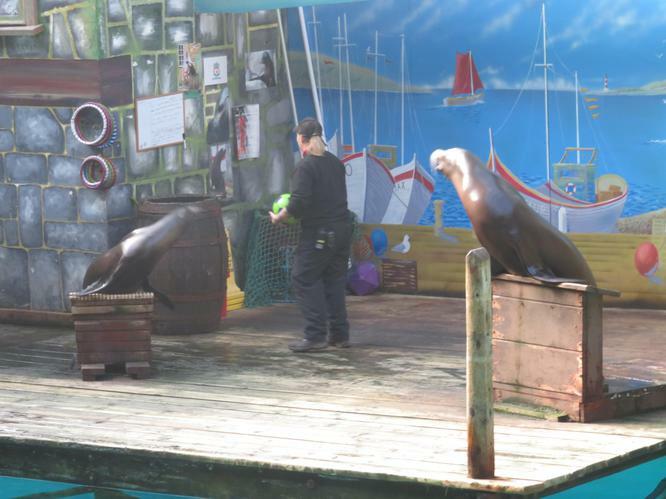 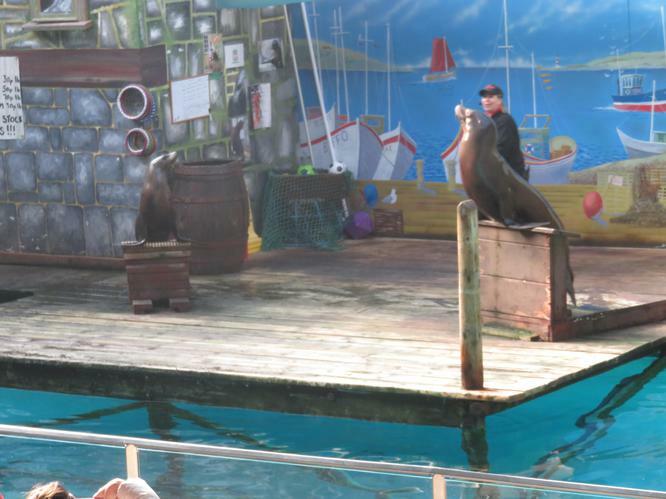 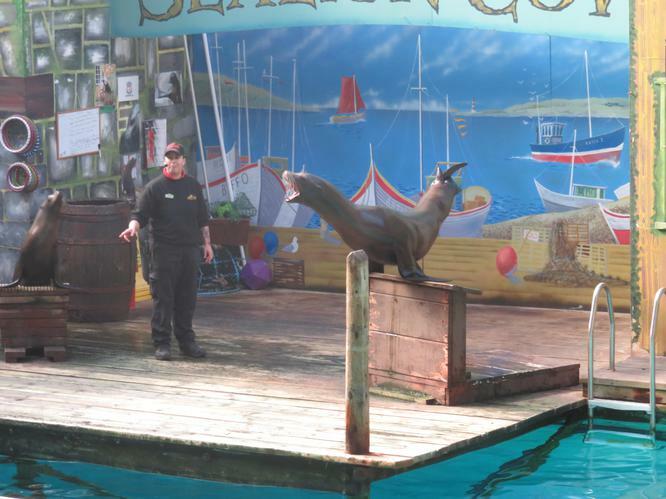 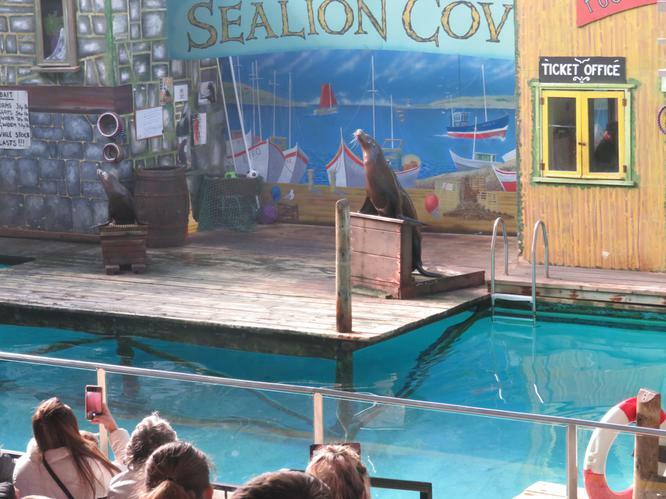 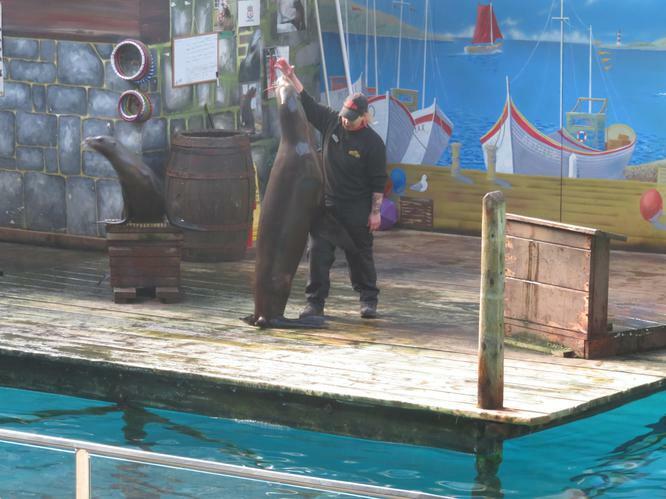 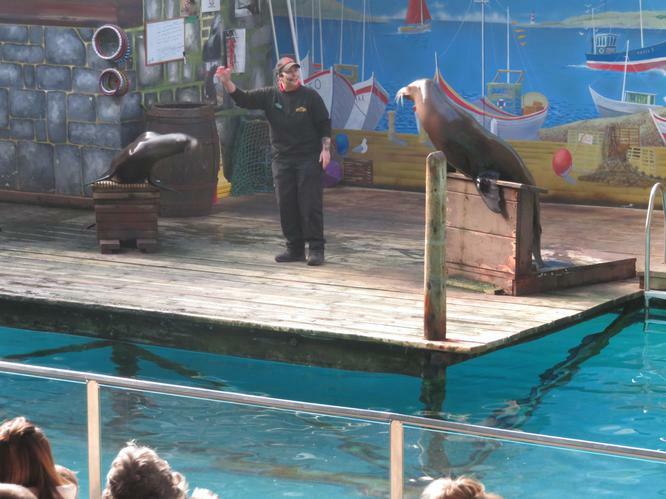 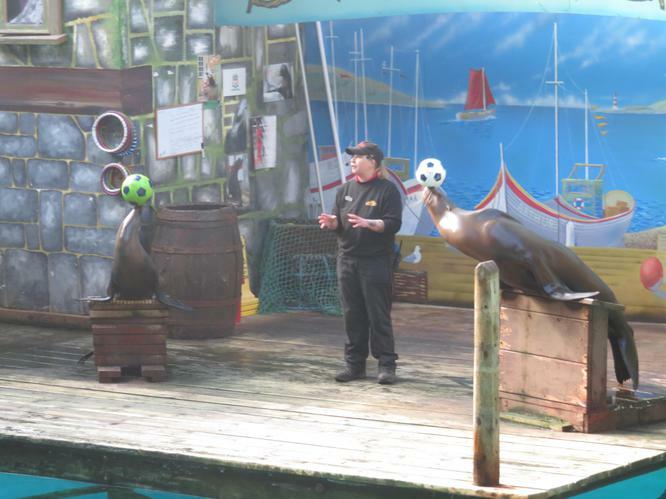 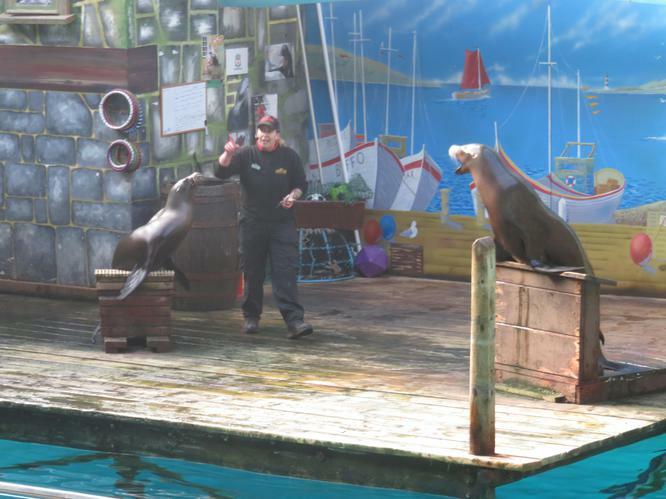 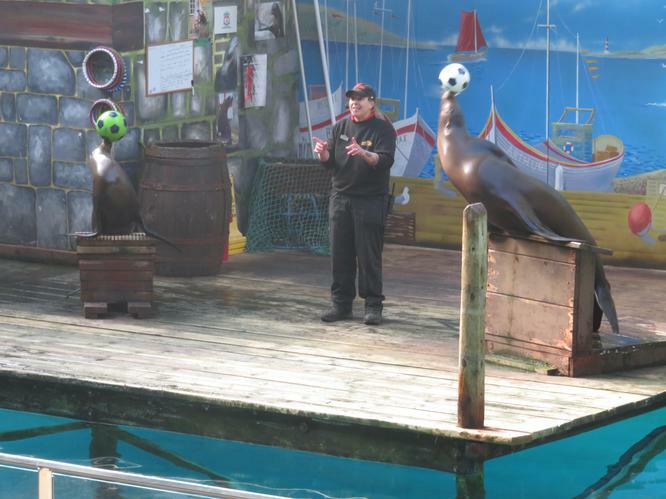 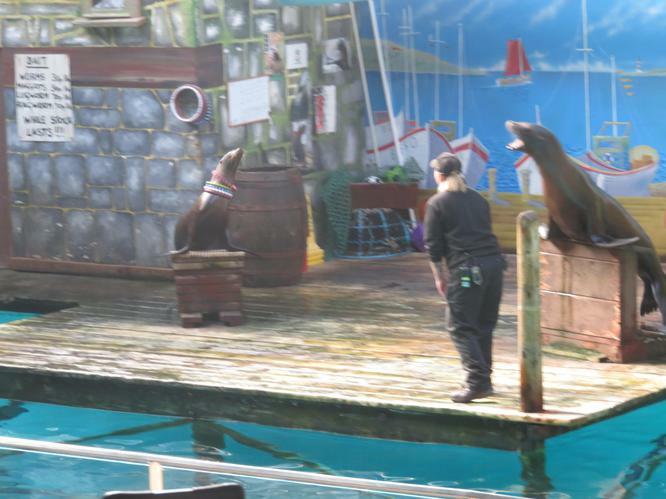 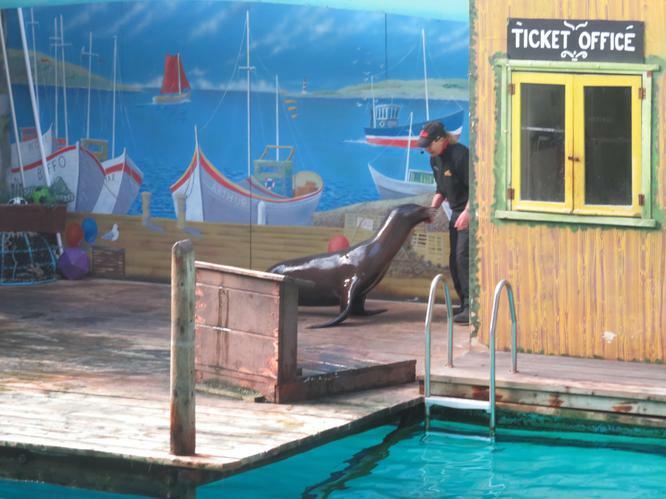 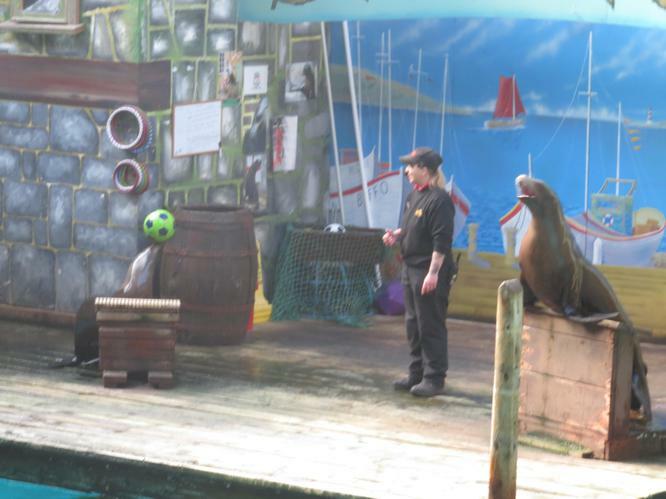 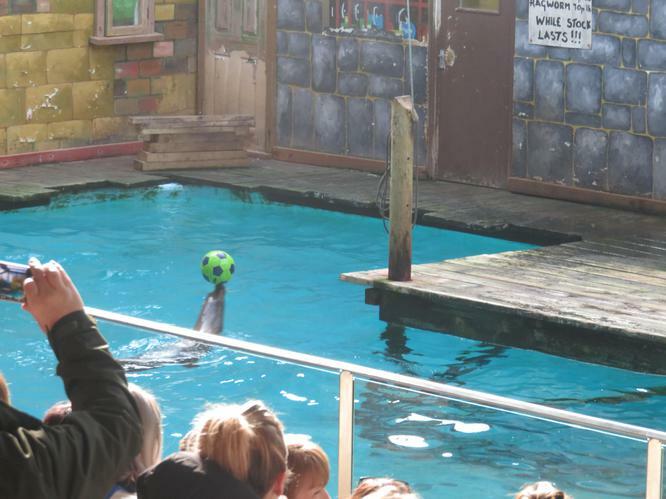 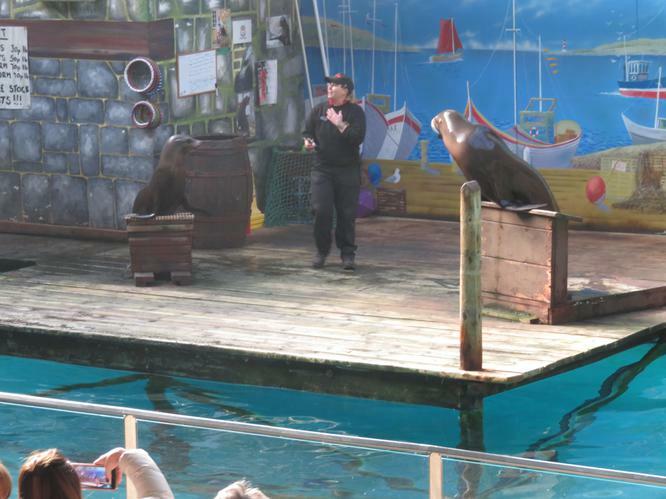 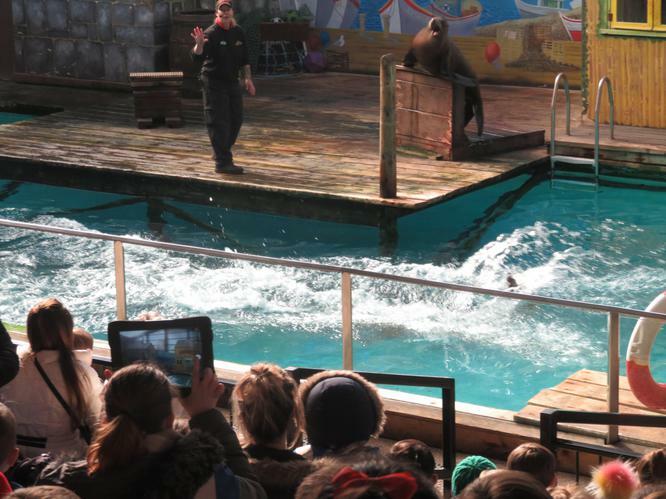 Arthur and Roger the Sealions performed so many tricks and they even showed us the difference between Sealions and Seals. 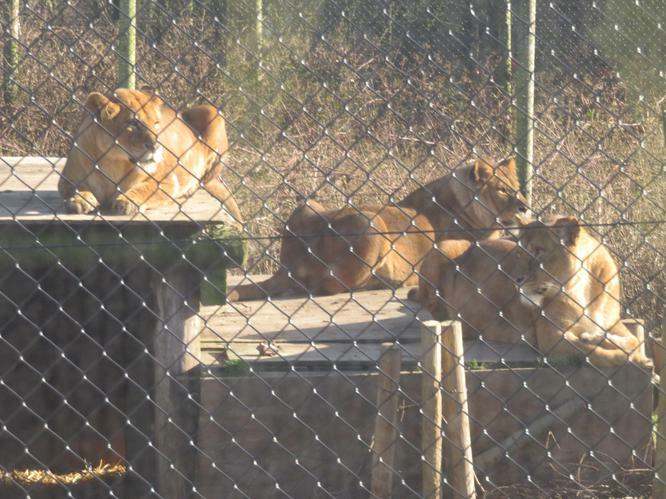 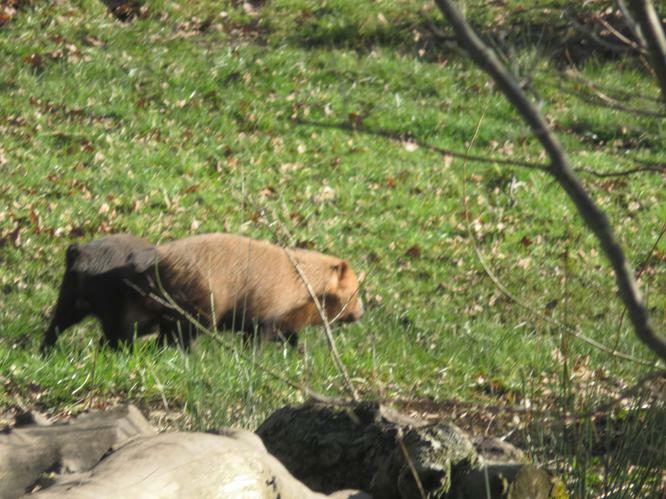 You can see a video of one of their by following this link. 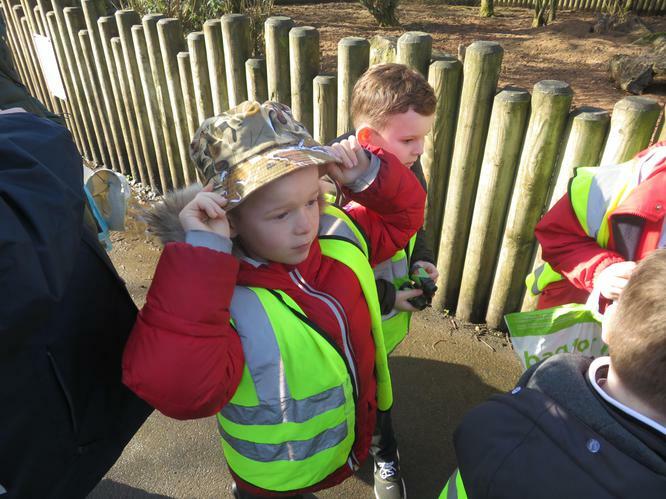 Finally we went on a driving tour of the Safari Park we saw lots of animals including; Lions, Tigers, Monkeys, Rhinos, Deers and Camels.